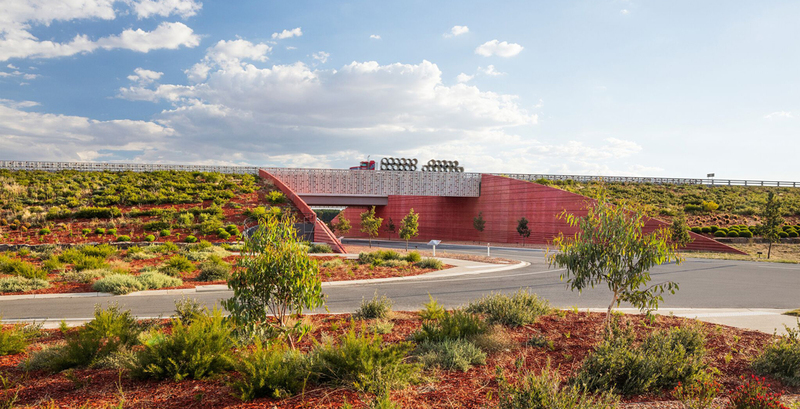 The Wootten Road Reserve Interpretation Space by Glas Landscape Architects. Image: Drew Echberg. 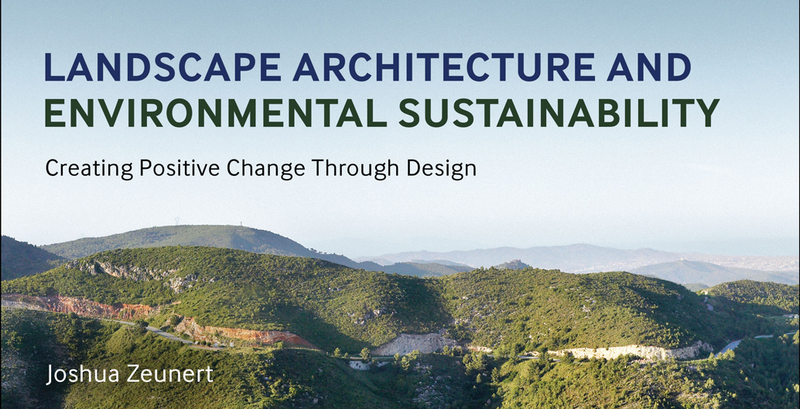 With major challenges facing cities across the globe – from climate change, to ageing infrastructure and rising population densities – the work of landscape architects is needed now more than ever. 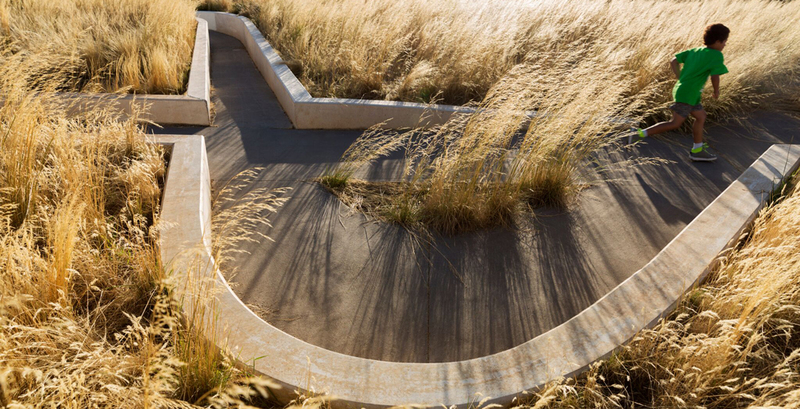 These award-winning landscape projects are helping to sow the seeds of change. 2017 is yet another year where the world has roasted, charting natural disasters of unprecedented scale along with some of the hottest months on record. 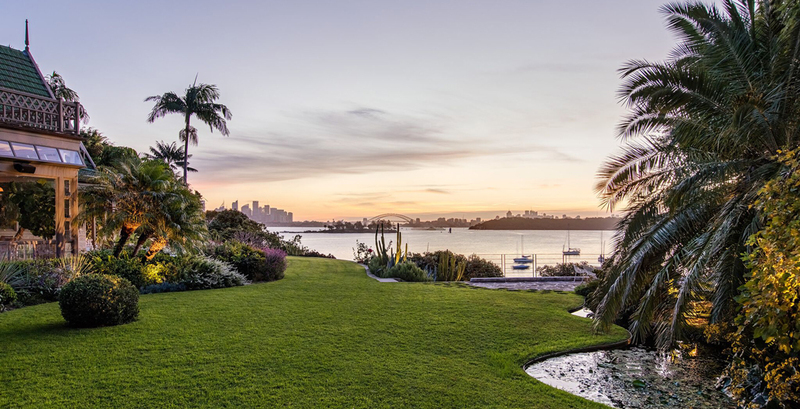 With Australia’s local and state arms of government filling the policy gap when it comes to climate change mitigation, the work of landscape architects is needed now more than ever. 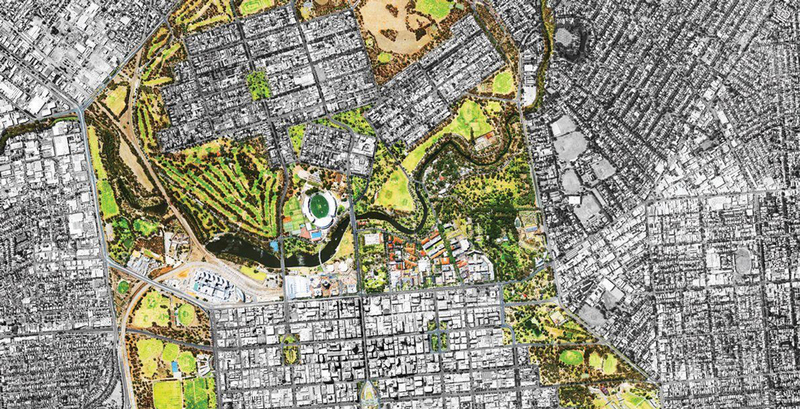 Thankfully the submitted entries for the 2017 Australian Institute of Landscape Architects’ (AILA) National Landscape Awards, demonstrate the profession’s capacity to respond to big challenges. 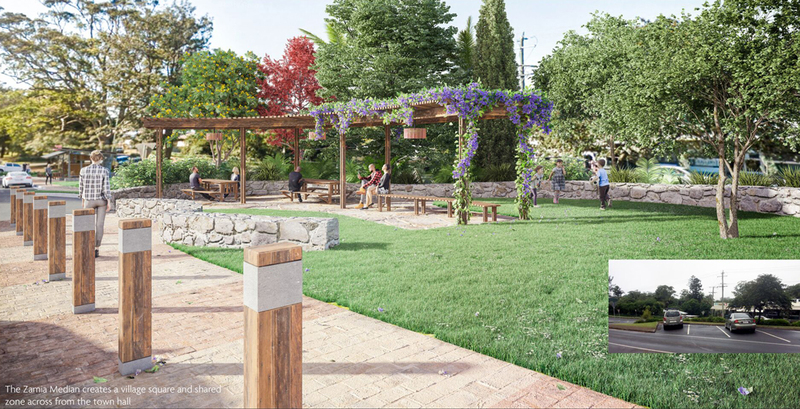 This year’s award recipients span large and small practices with a similarly broad spectrum of projects and aspirations. 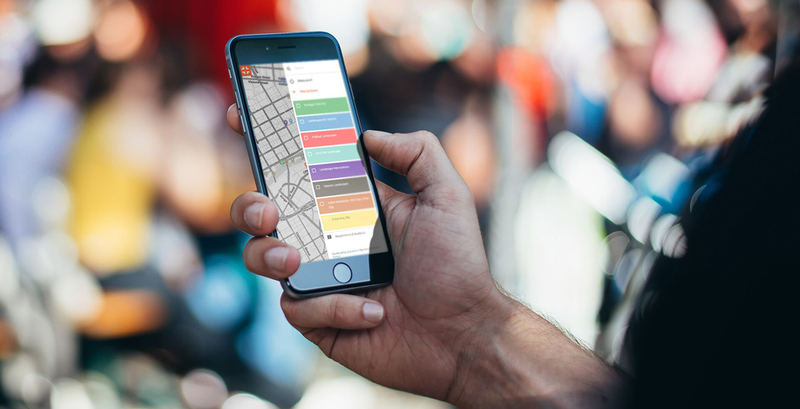 They include books, apps and built projects that represent what Corkery describes as a “diversity of perspectives”. 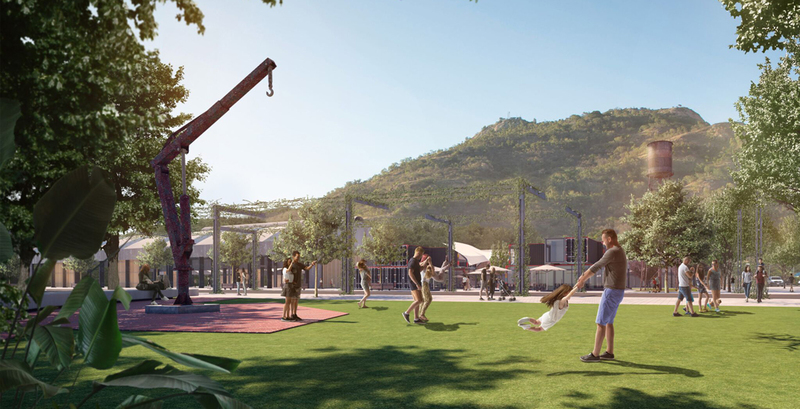 In evaluating the relative merits of the submitted projects the jury was pleased to see a range of projects that demonstrated industry leadership, critical thinking, and practical results for the communities designers serve. 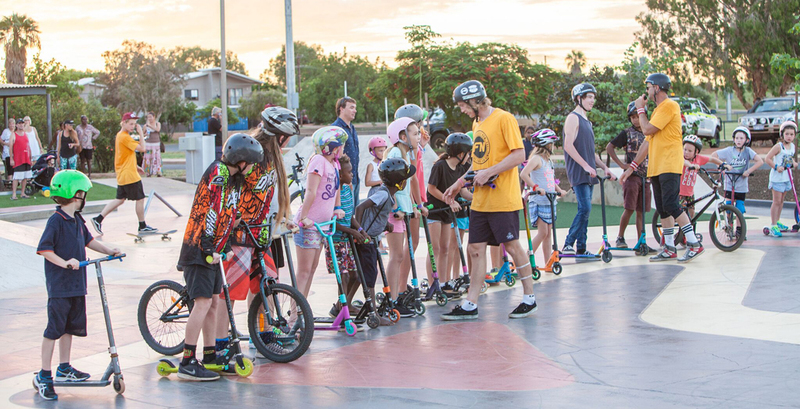 One project that particularly impressed the jury was Dr Libby Gallagher’s Cool Streets Pilot Project, which won the Community Contribution Award of Excellence. 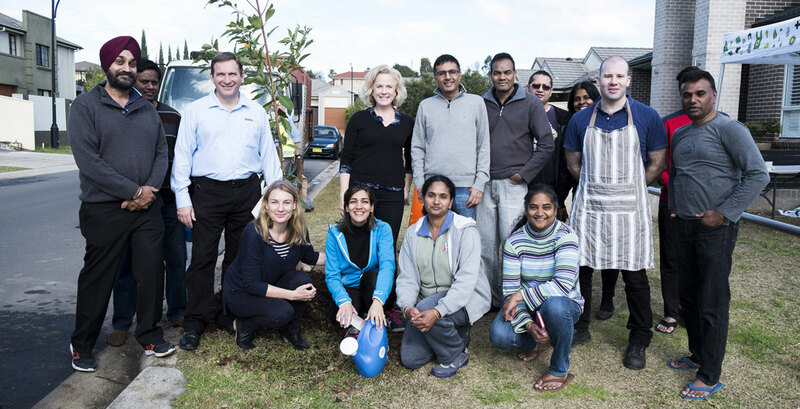 Developed from Gallagher’s PhD research at the University of Sydney, the project took a facts-based, consultative approach to the creation of a street-tree planting initiative for Western Sydney’s City of Blacktown. 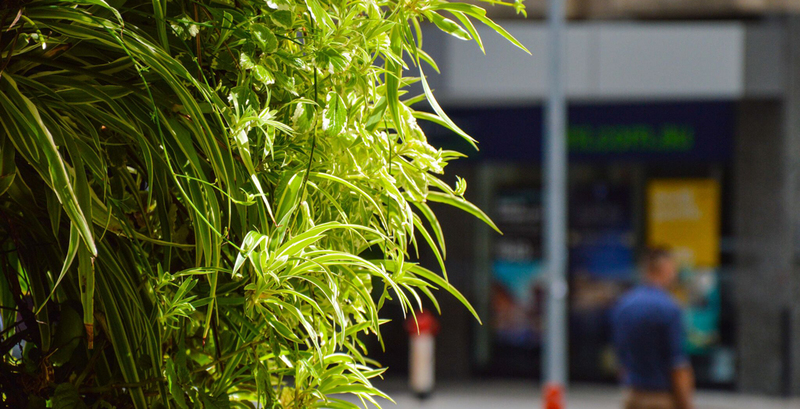 This location was of particular importance, as up to 40 percent of the municiplaity’s trees were dying within one year of their planting. 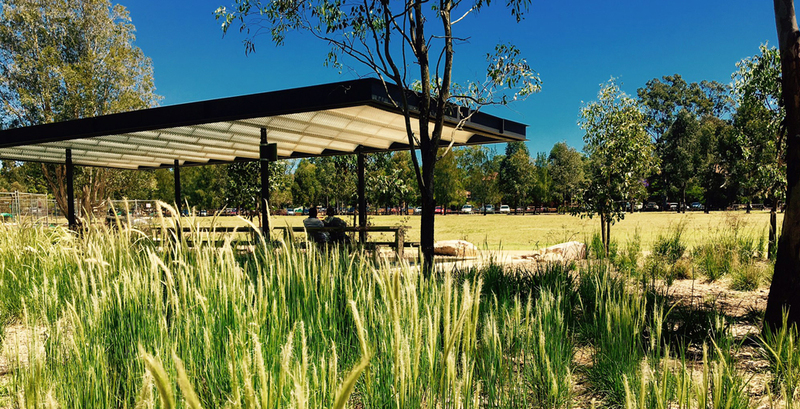 The resulting diminished provision of shade exacerbated the climate challenges of Western Sydney, which experiences four times as many hot days as Sydney. Gallagher’s pilot project wanted to address this. 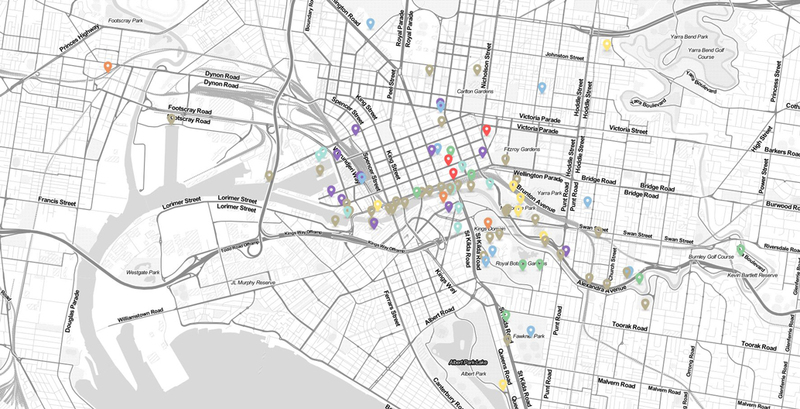 Cool Streets’ demonstrates a road-map forward for municipalities suffering from similar problems across Australia, while allowing for regional variation. 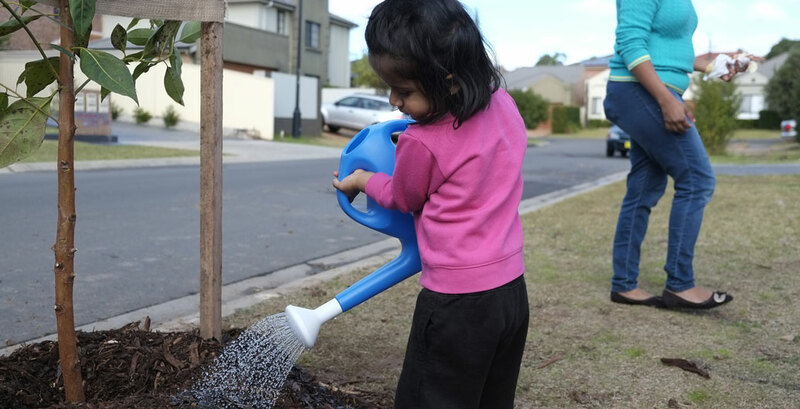 A young resident waters a freshly planted street-tree in Blacktown, NSW. Image: James Norton. 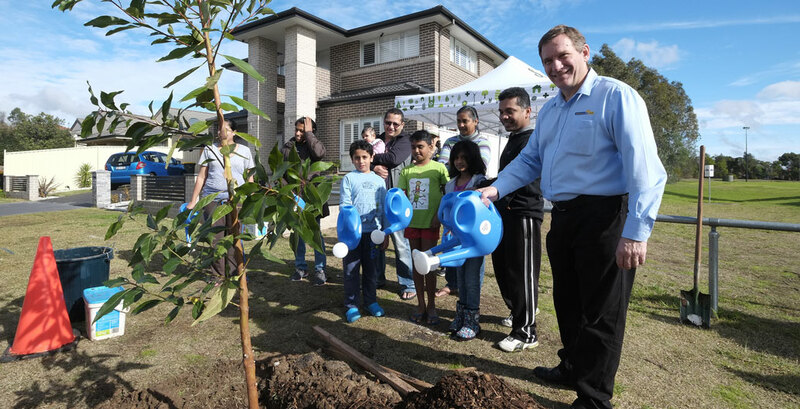 Cool Streets' debut recipients in Blacktown, NSW. 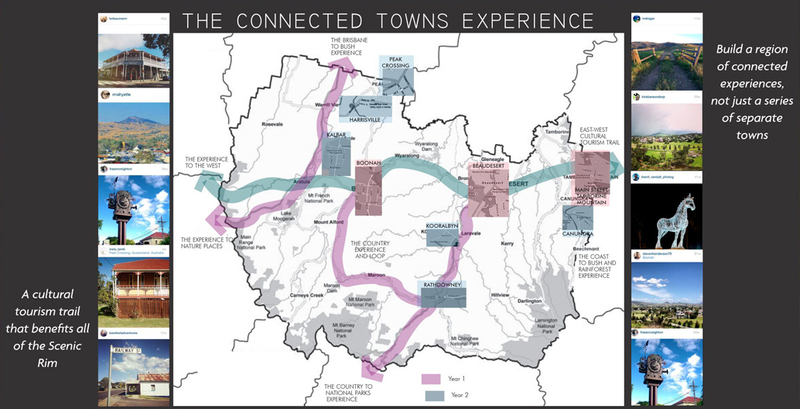 Tract Consultants’ Journey Interactive Map. 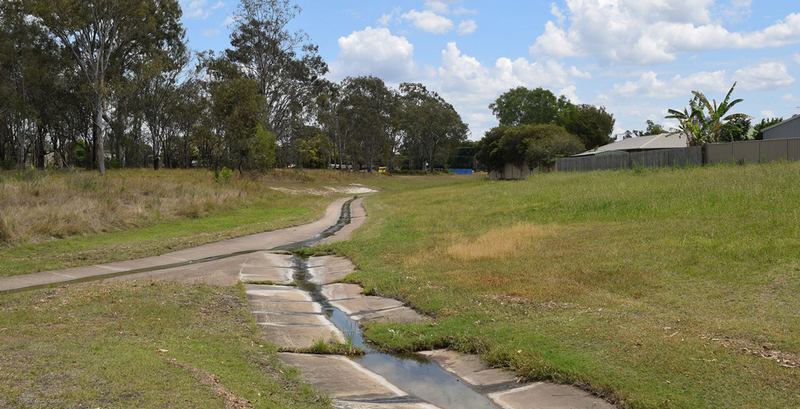 Small Creek Channel Naturalisation, QLD, by Landscapology. 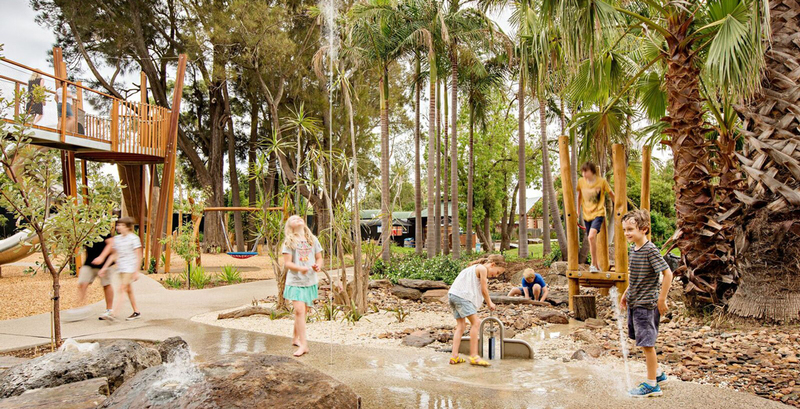 Context was key in the award selection process, with this year’s Land Management winner Big Plans for Small Creek, in Queensland, emphasising an important sense of place. 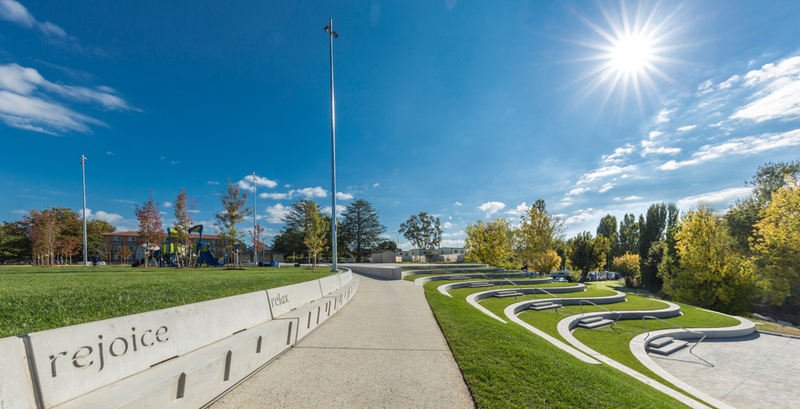 The 2017 winner for Tourism was Tract Consultants’ Journey Interactive Map, a digital application designed to get the general public thinking about landscape architecture via a way-finding app highlighting landscape architecture projects in Melbourne and Canberra. 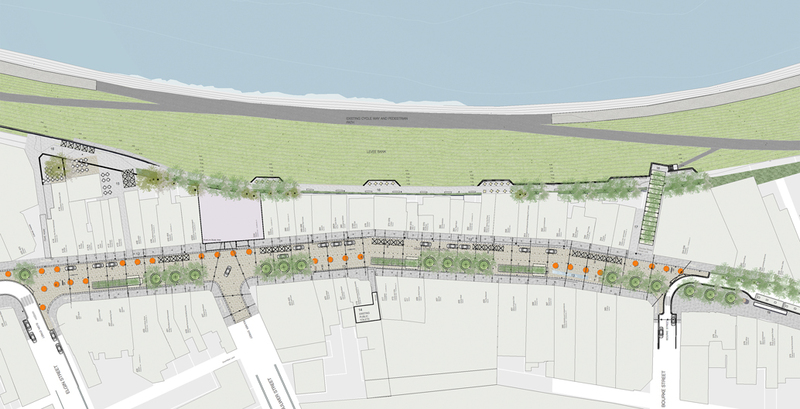 The levee site plan. Image: Simon Wood. 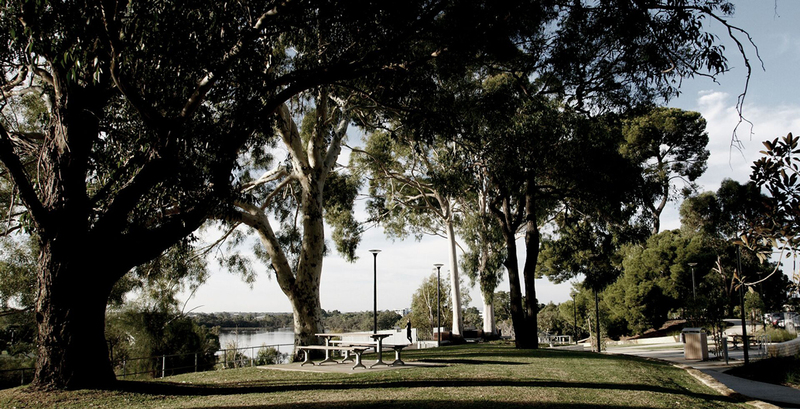 The Maitland Leveee looking toward the river foreshore. 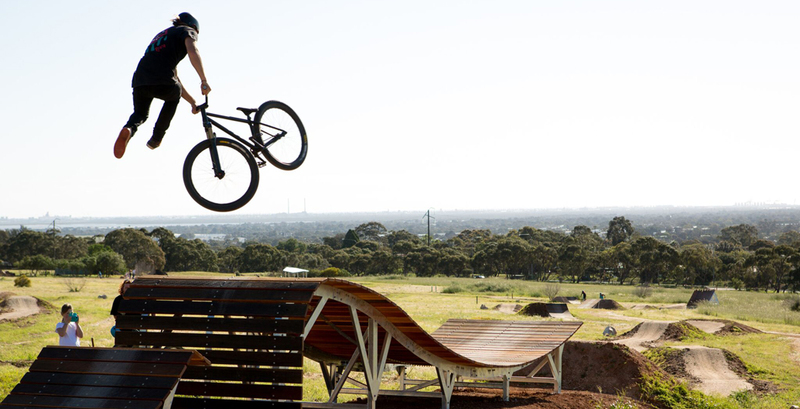 Image: McGregor + Coxall. 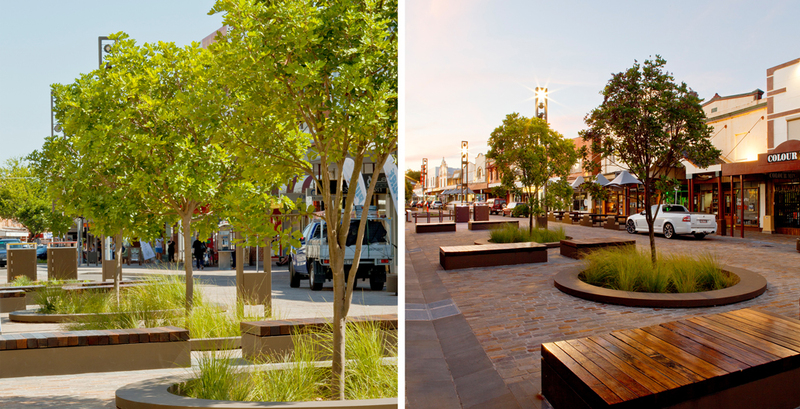 Vision of the precinct's Water Sensitive Urban Design (WSUD) tree system. Image: Simon Wood. 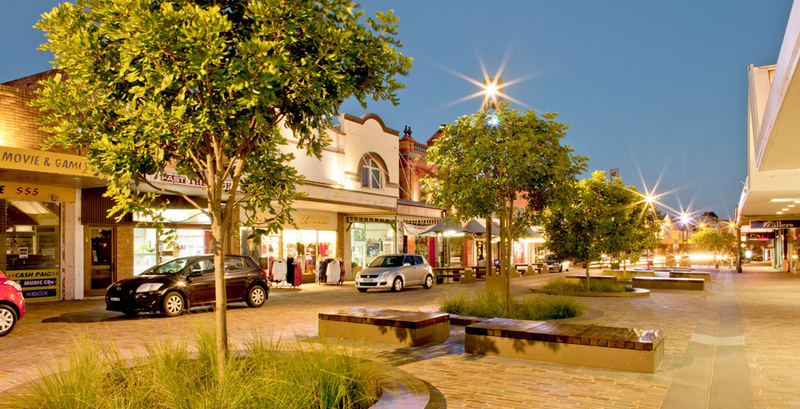 The precinct's blend of old new new. Image: Simon Wood. 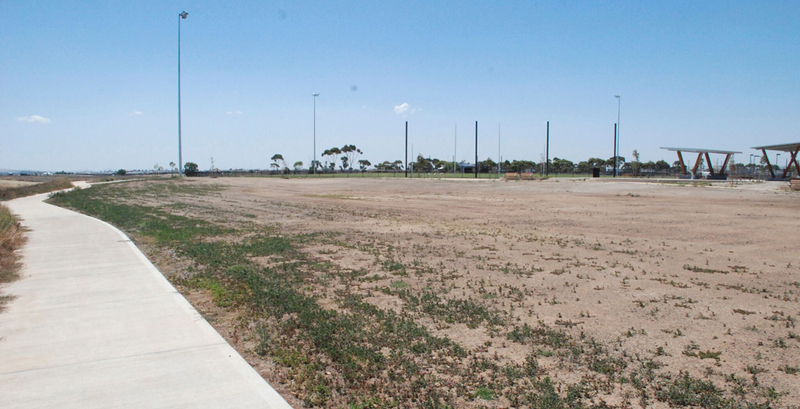 Wootten Reserve prior to regeneration. Image: Mark Gillingham. 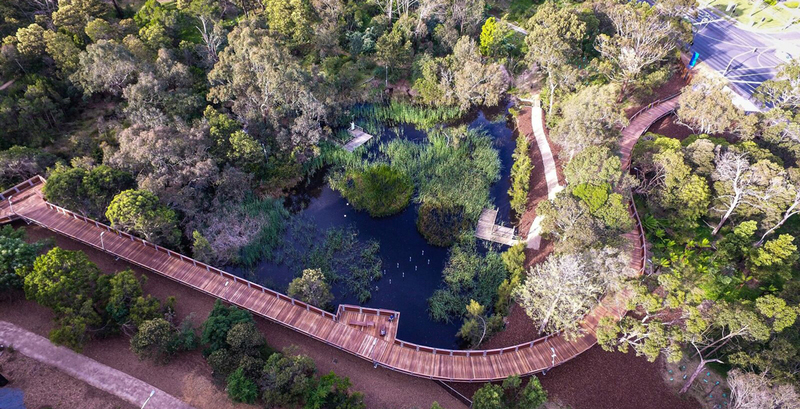 The reserve spans three hectares. Image: Drew Echberg. 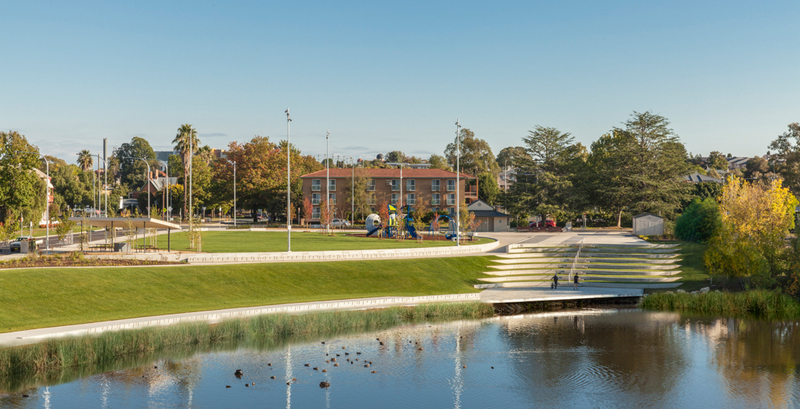 Queanbeyan Riverfront. 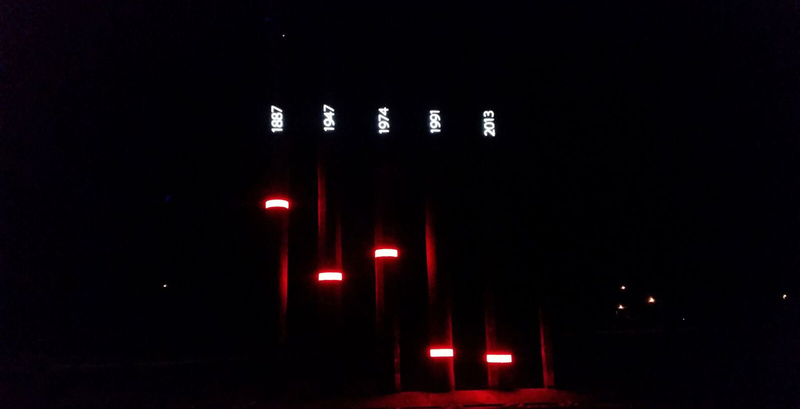 Image: Phillip Hayson. Clouston values this project at $4.2M. Image: Phillip Hayson. 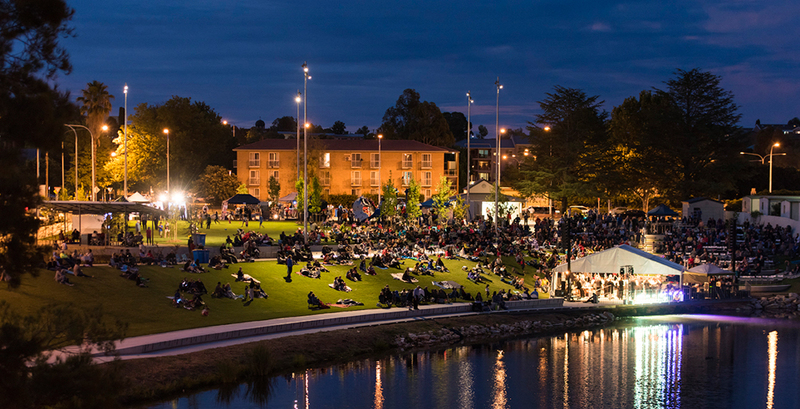 The riverfront provides a focal point for the town at day or night. Image: Martin Ollman. 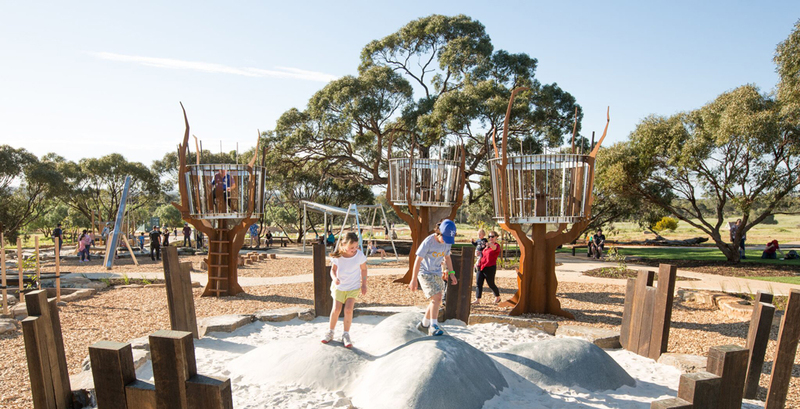 This park also won the gong as the 2017 NSW / ACT ‘Park of the Year’ as part of the Parks and Leisure Australia Awards. Image: Phillip Hayson. 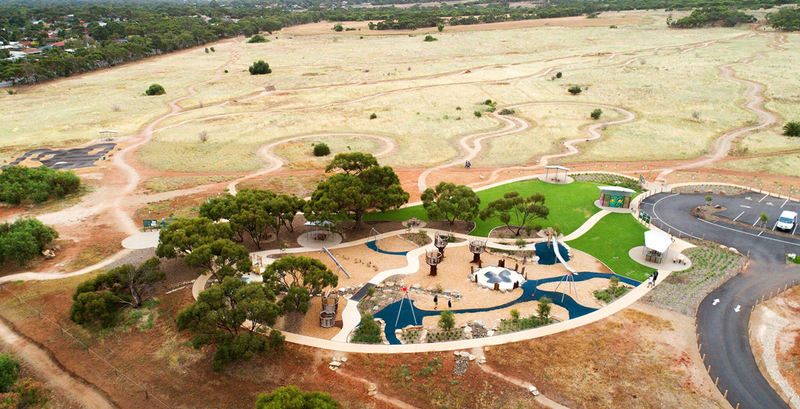 An aerial view of the playground and the trailhead pumptrack. 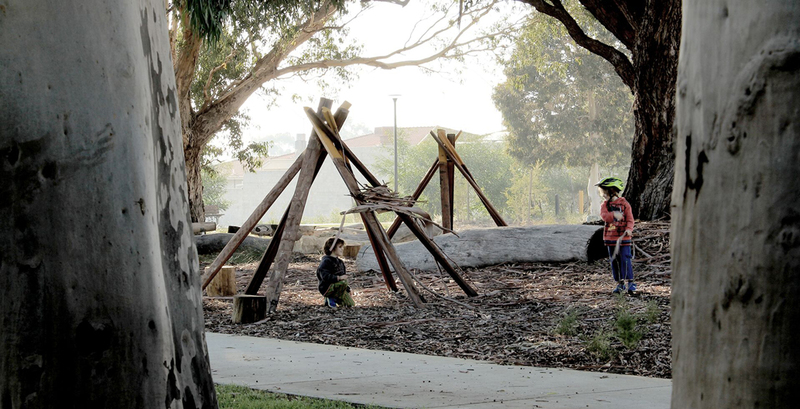 The playground incorporates nests and treehouses. 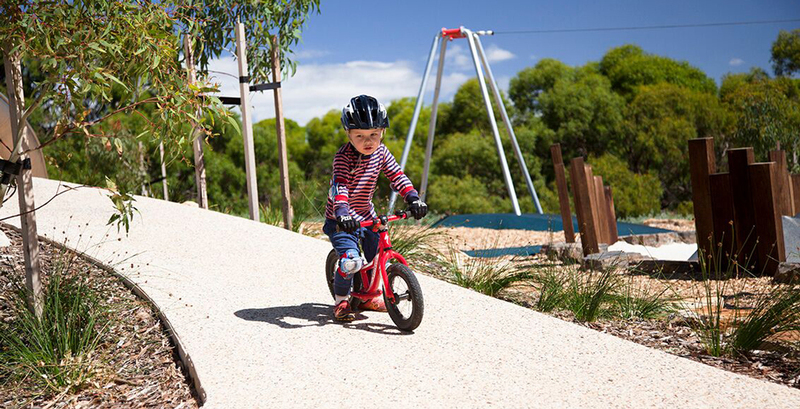 A little tyke runs the park-loop. 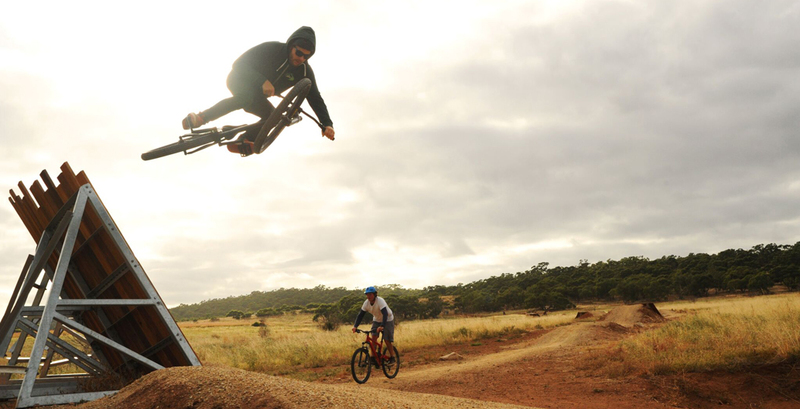 Getting some air at the Black Diamond Trail. 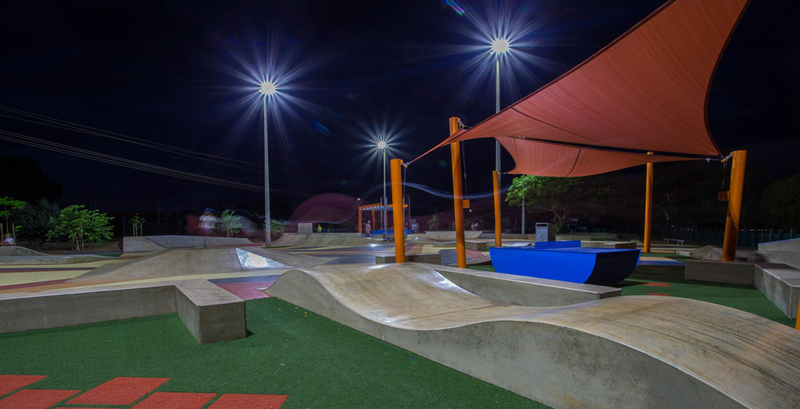 Located in the Pilbara region, night time provides some respite from harsh hot days. 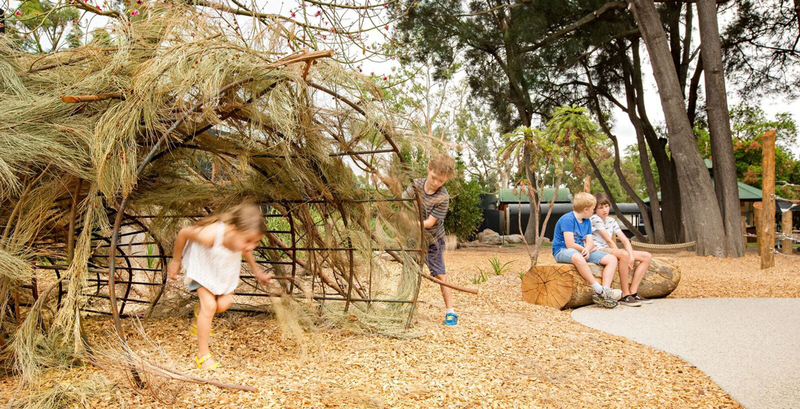 The space's ground plane of movement was inspired by the chambers of a termite mound. 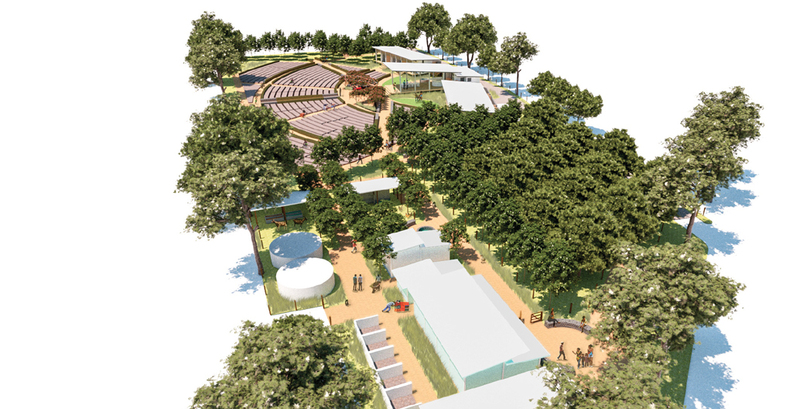 Convic consulted with younger members of the community through their design process. 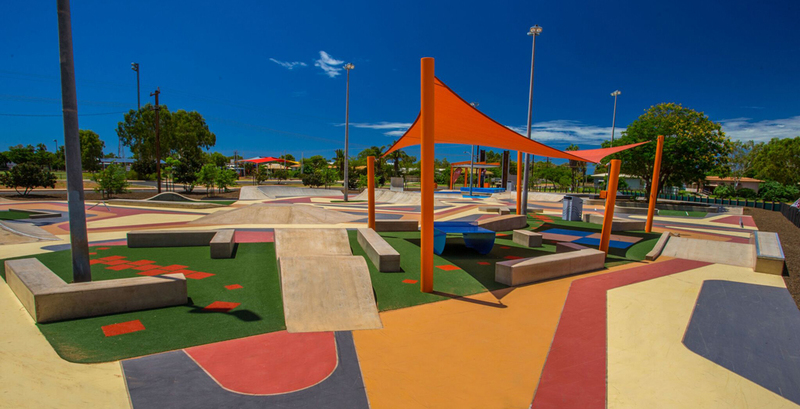 The playground features both wet and dry elements. Image: Dan Schultz. 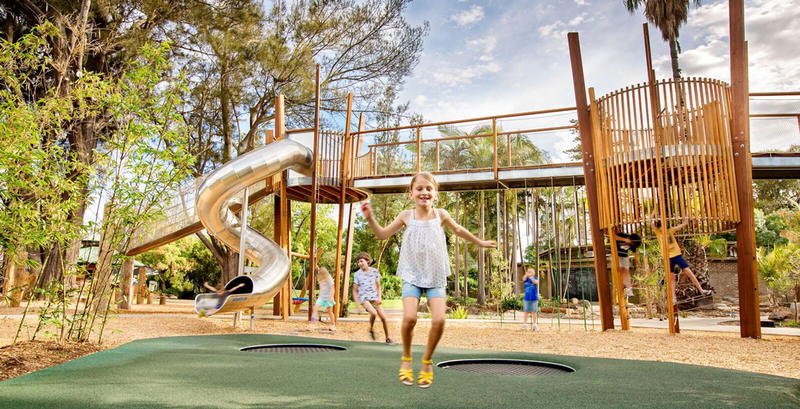 This playground came out of an extensive consultation process, including with the children's charity Variety. Image: Dan Schultz. 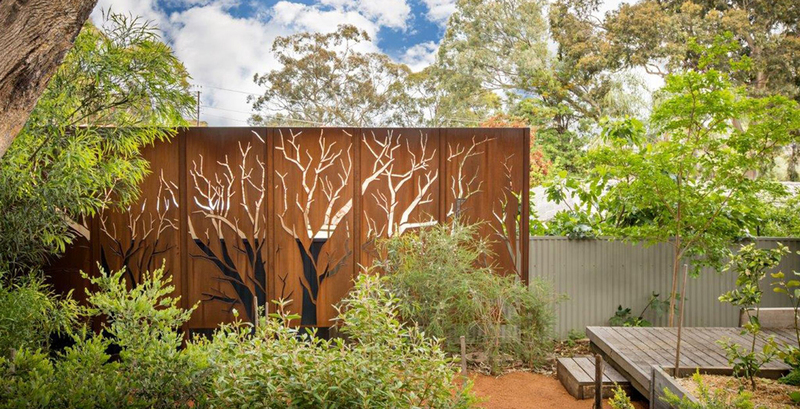 “The space evokes a feeling of peeking through the David Attenborough lens” – the AILA judges. Image: Dan Schultz. 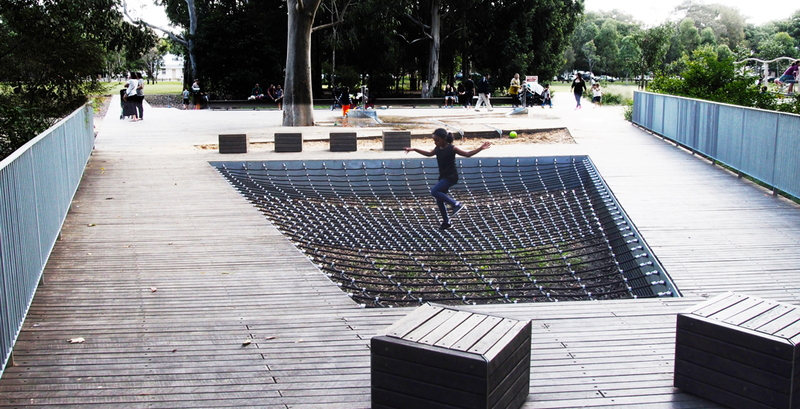 The playground's floating rope and timber seating. 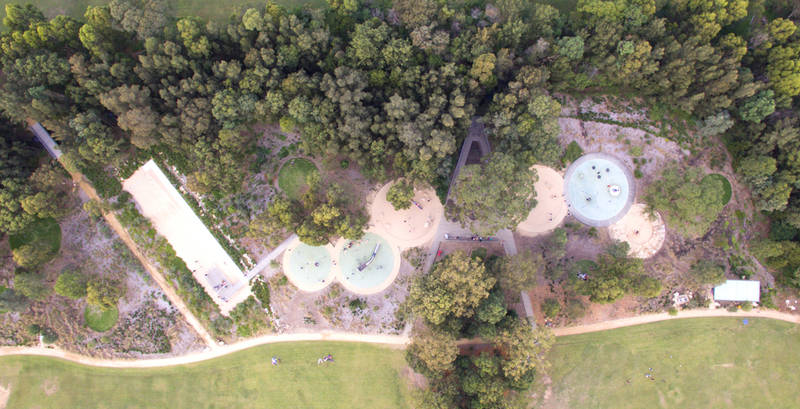 Domain Creek Playground from above. The wall, legible at a human scale, commemorates those who fought in WWI. Image: John Gollings. 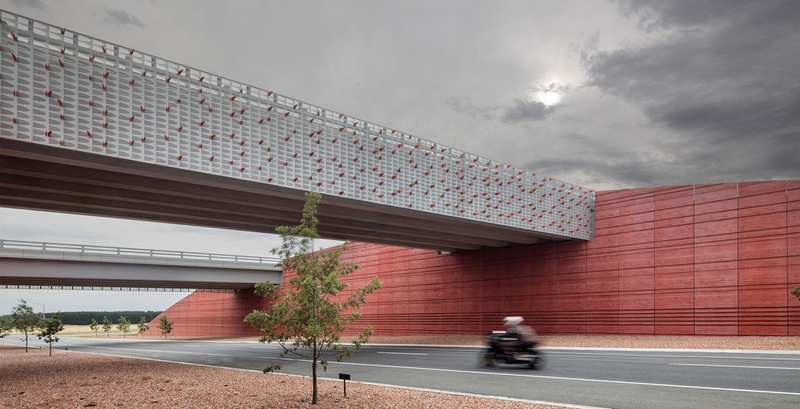 The jury noted the design's elegance within its restrained "infrastructure and landscape". Image: John Gollings. Ominous clouds fly over the Jim Stynes Bridge. Image: John Gollings. 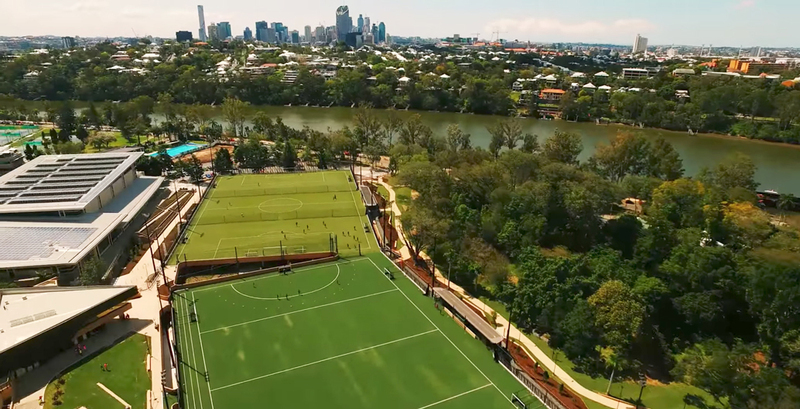 The University of Queensland's award-winning artificial turf grounds in Brisbane. Image: UQ. 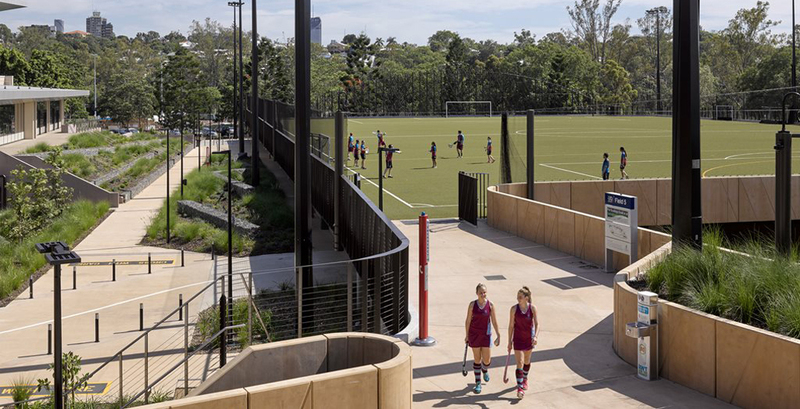 The University of Queensland's synthetic turf ground. Image: Christopher Frederick Jones. 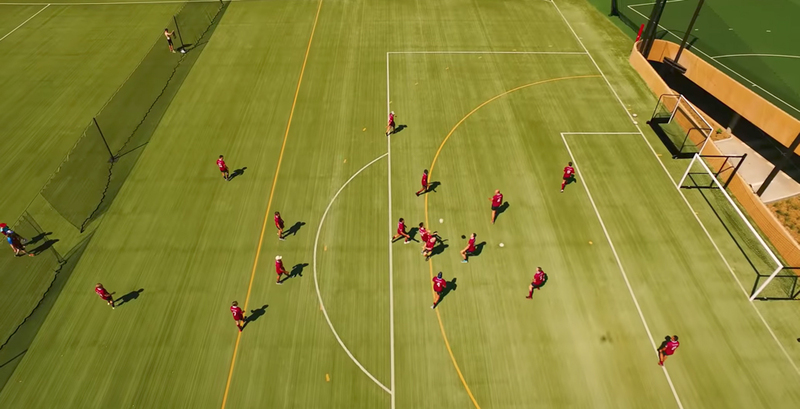 UQ's artificial soccer pitch from above. Image: UQ. 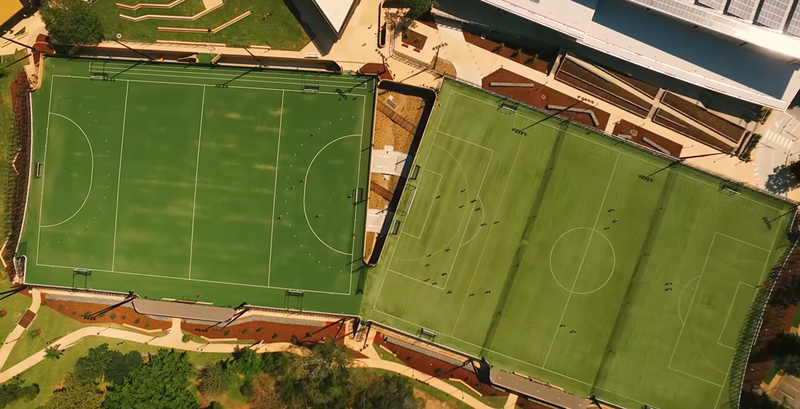 UQ's hockey and soccer pitches from above. 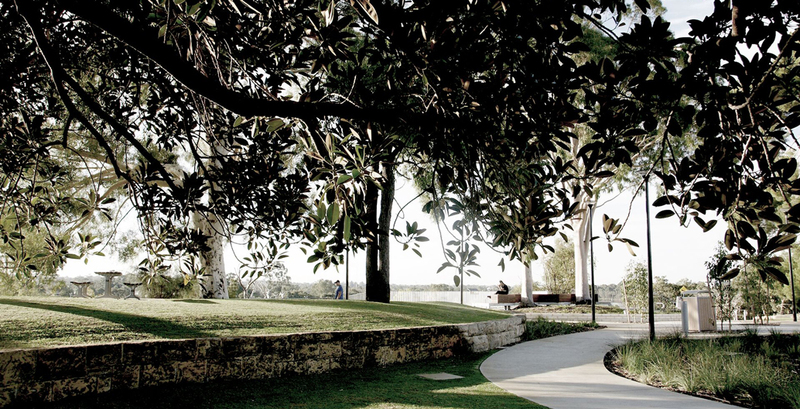 Image: UQ. 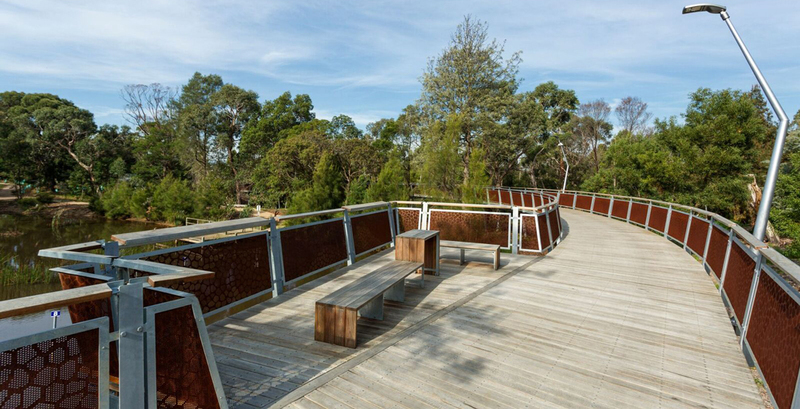 Students, staff, and visitors traverse through the boardwalk at canopy level. 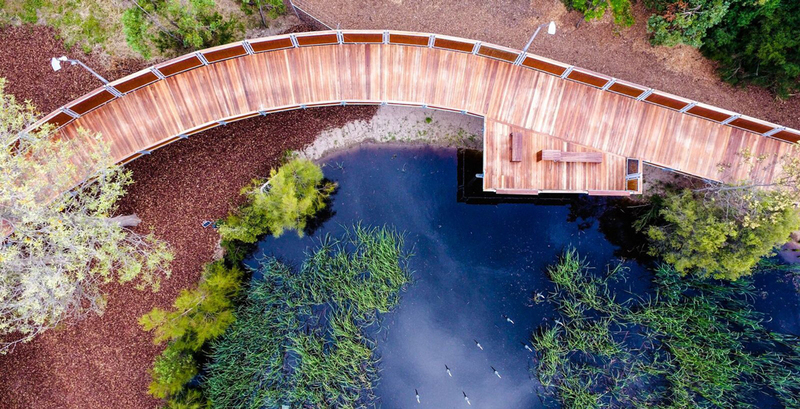 Prior to the build, the team used drone footage to map the proposed boardwalk. 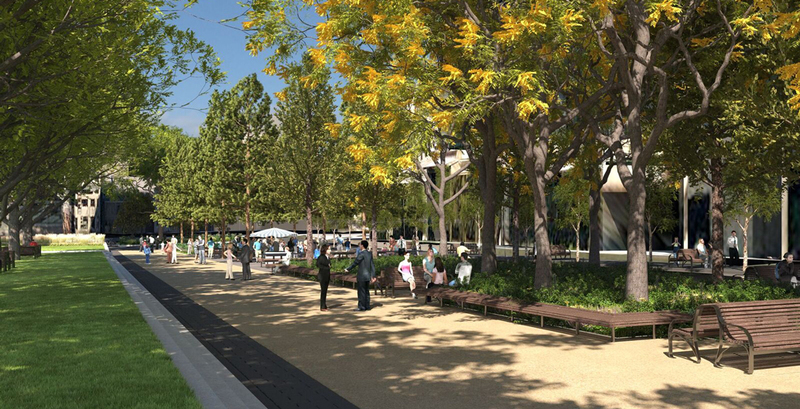 The walk features seating, book leaning rails, wheelchair accessible desks and power points. Image: Drew Echberg. 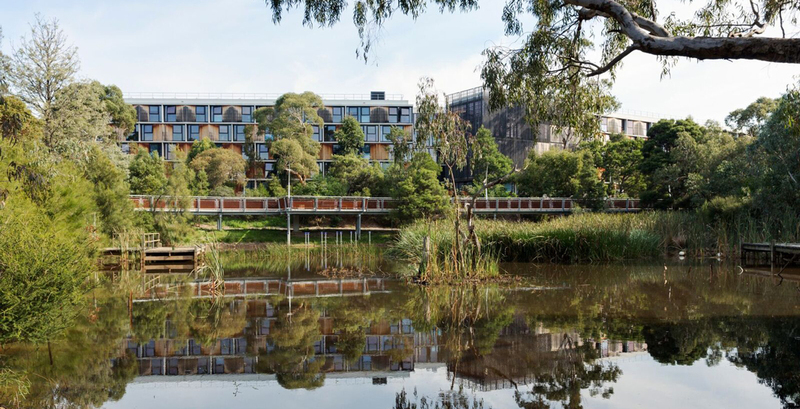 The reserve's name sake comes from Monash University's foundation Chair of Zoology and Comparative Physiology, Professor AJ 'Jock’ Marshall. Image: Drew Echberg. Signage explaining the traditional fishing of the area. In Noongar language, Bilya refers to river (1/3). 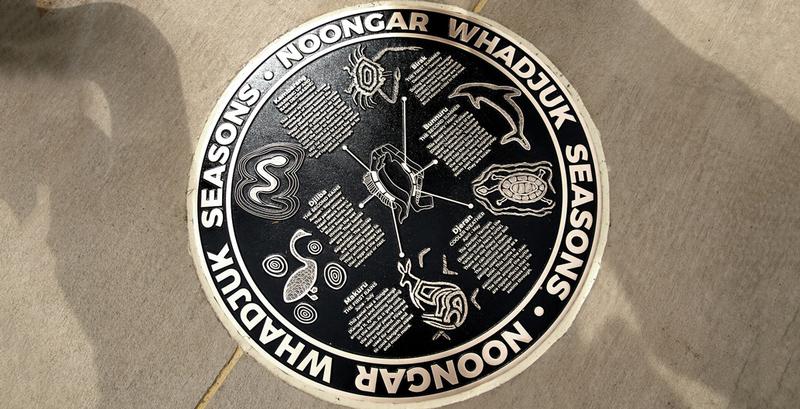 As opposed to Euro-centric conceptions of Australian weather, Noongar culture experiences the seasons in seven parts. 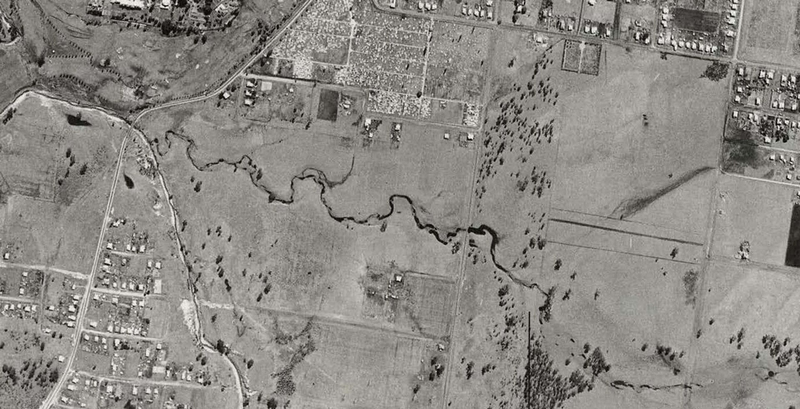 Small Creek prior to greater development. 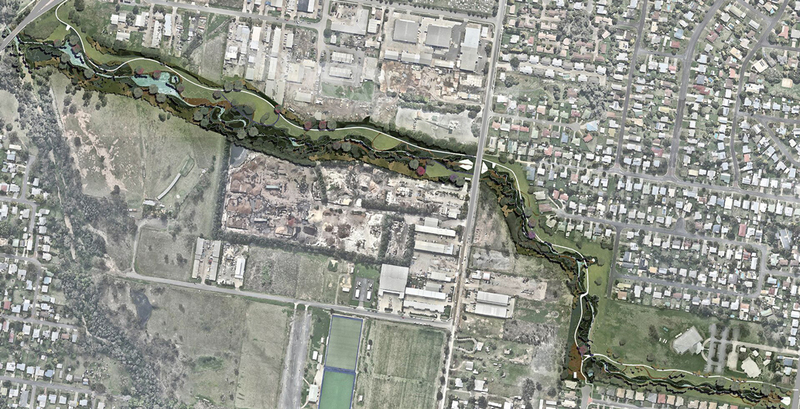 An aerial view of the creek's naturalisation masterplan. Like other suburban streams, the current form of Small Creek is rendered in concrete. Image: Claudia Bergs. 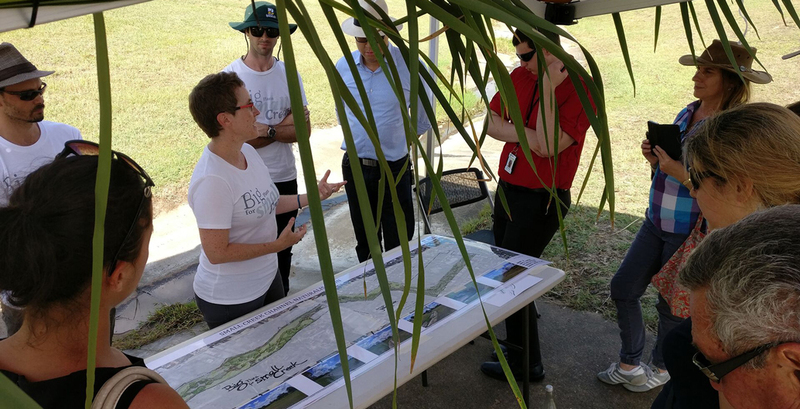 Small Creek's community consultation. Image: Stephanie Brown. 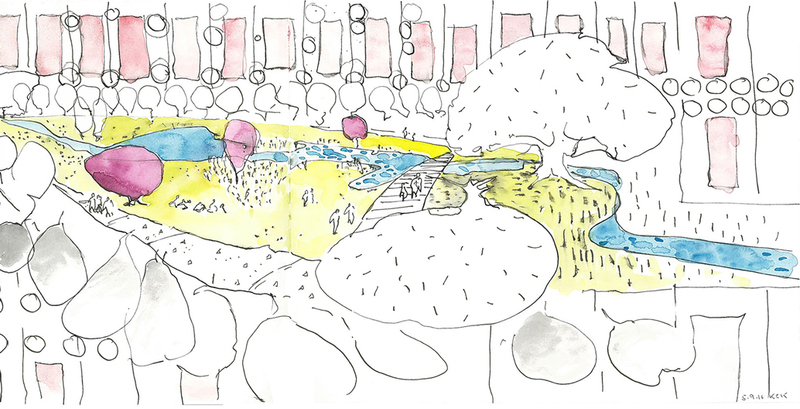 An early sketch of the proposals for linear parks. 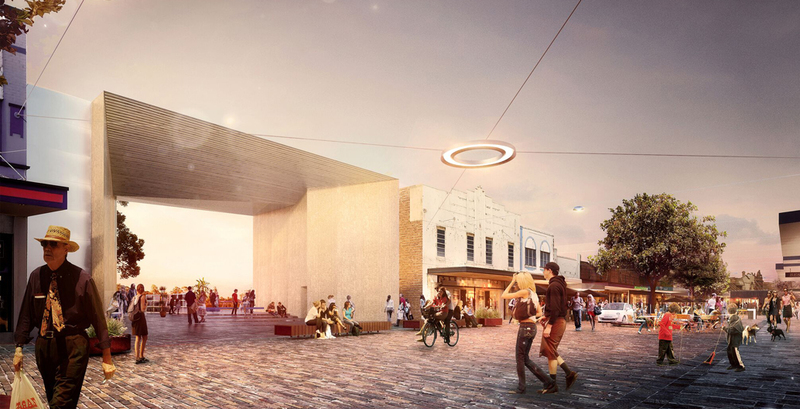 A render with a nod to the City of Randwick's horse-racing heritage. 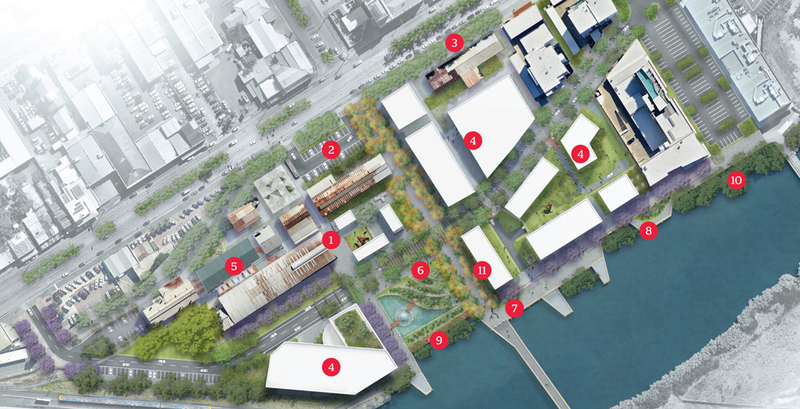 Aerial view across the site's north linear park. 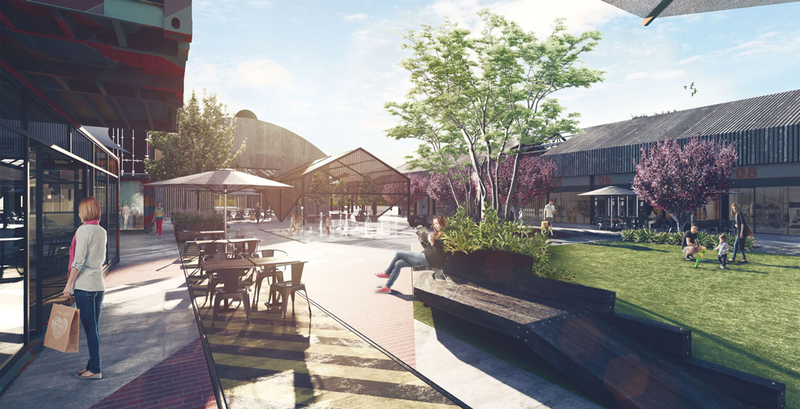 The site is earmarked as a future lifestyle / recreation hub drawing on its industrial heritage. 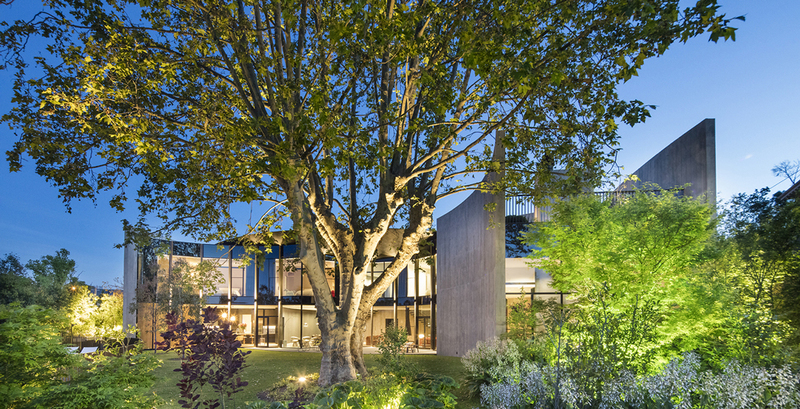 Judges praised the design's recognition of local character. During the design process, the project adopted a “inquiry by design” model. 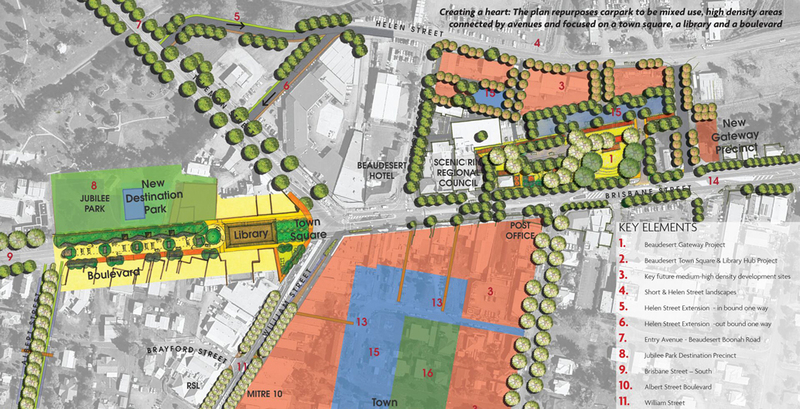 Community consultation placed an emphasis on the revitalisation of the main street. 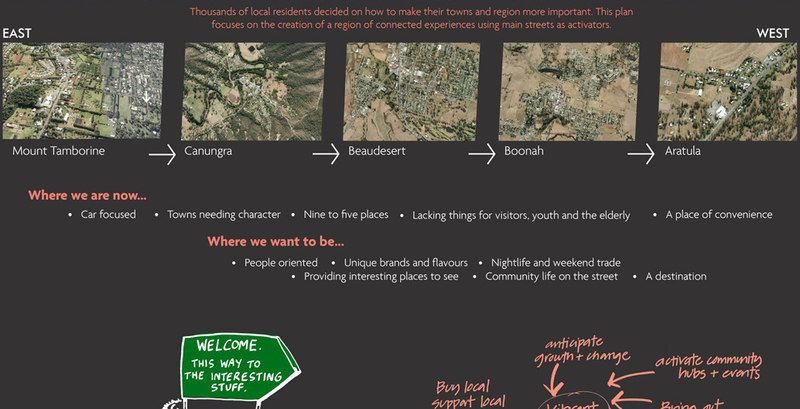 An initial plan to reinvigorate the heart of Beaudesert. Zambia Median, in Tambourine Mountain. 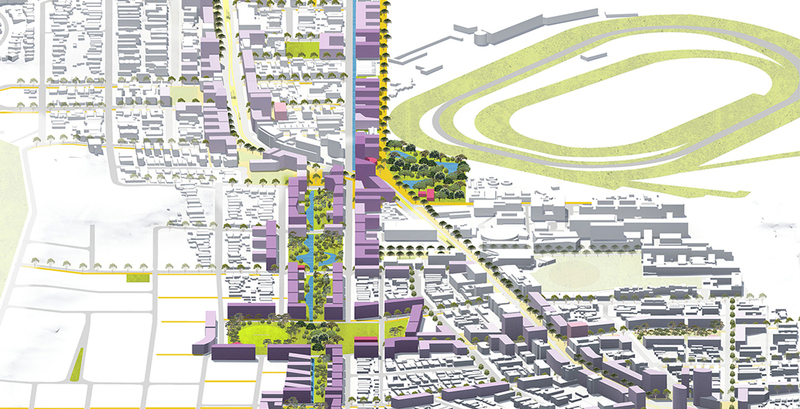 A bird's eye view of the plan's holistic approach. 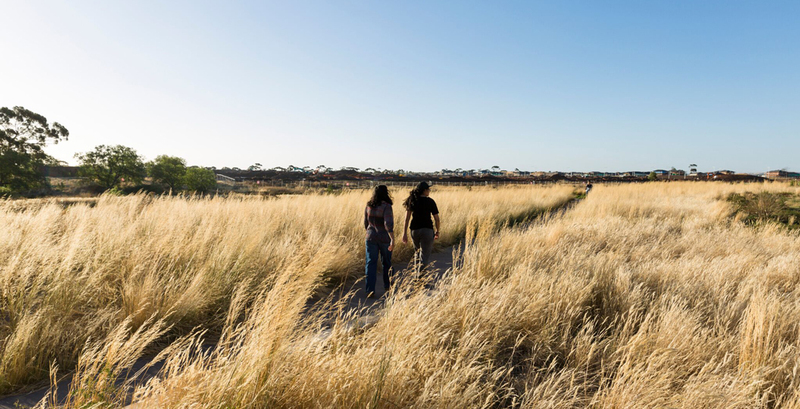 The 2016 Australian census revealed that South Australia's population growth was the slowest in the country at five percent. 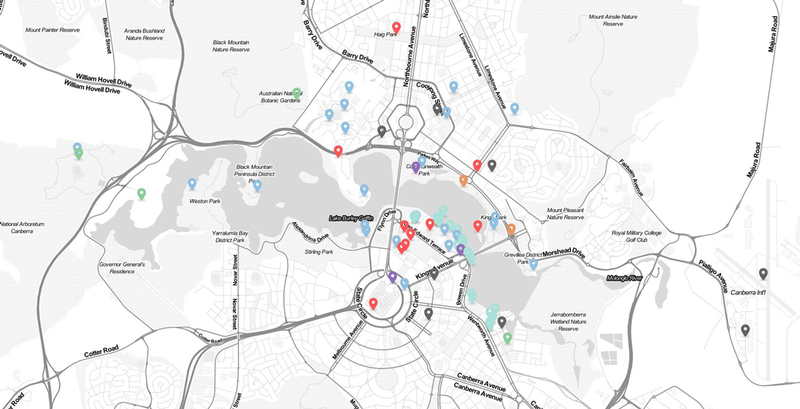 The central tenets of the document is to increase “activation, accessibility and resilience”. 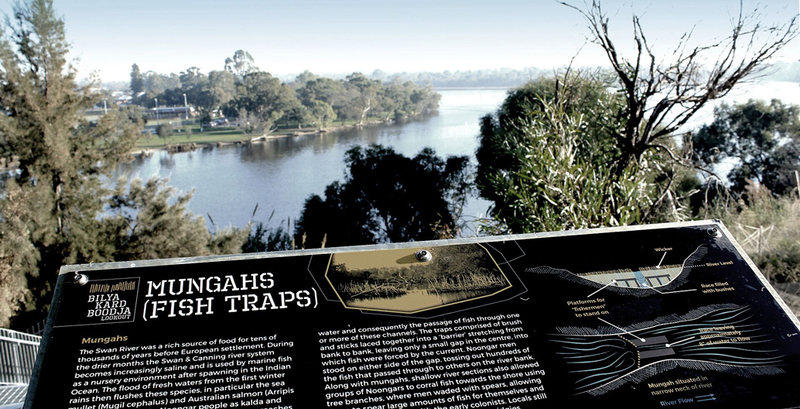 A biodiversity assessment report found that bats, birds and possums call the park home. 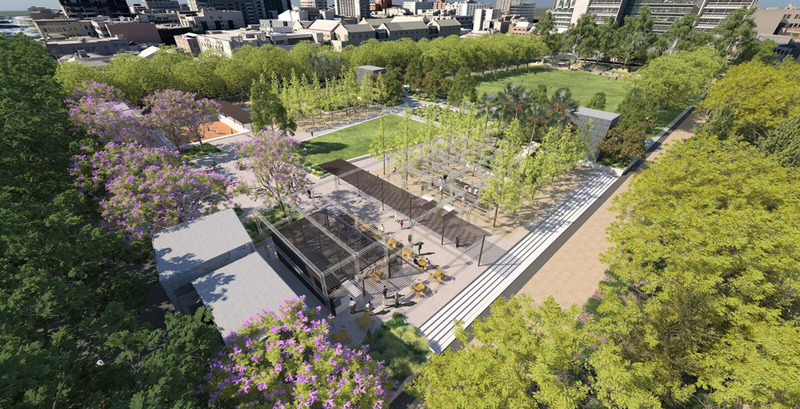 The park will utilise various understorey plantings to combat climate change. 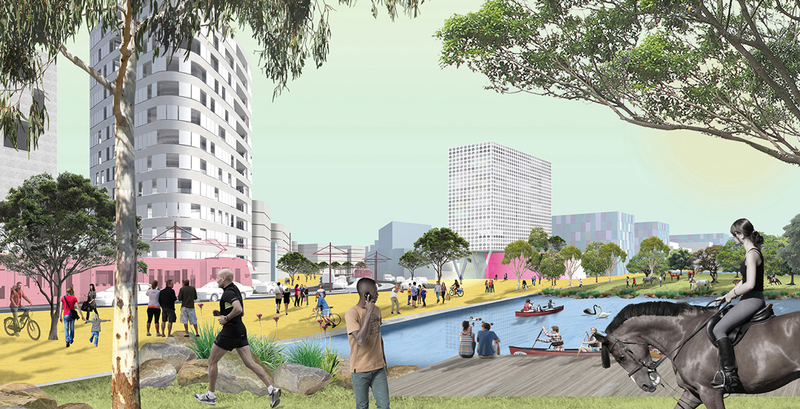 The masterplan coincides with the response to the area's construction requirements as part of the Melbourne Metro project. 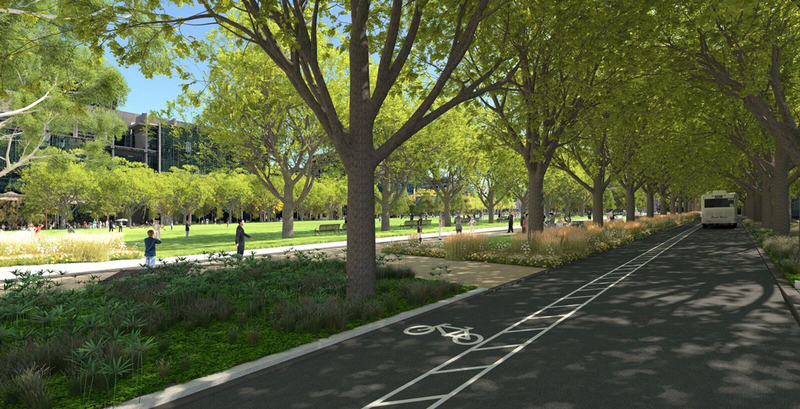 The park will house a new underground stormwater tank. 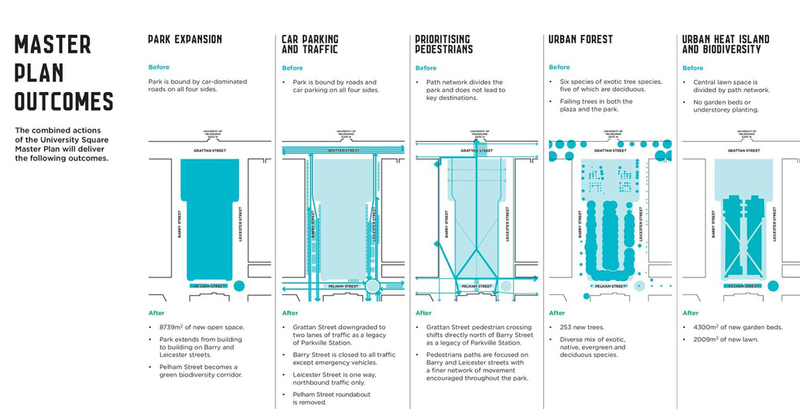 An overview of the park's outcomes. 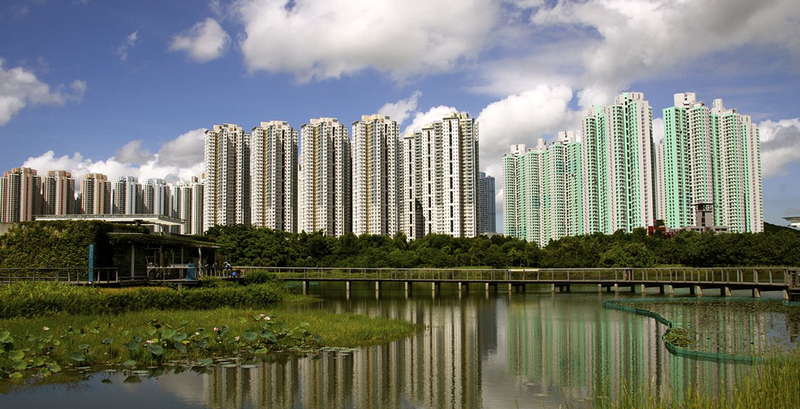 Discussed in the book are plenty of wetland parks seeking to function as a city's green ‘sponges’. 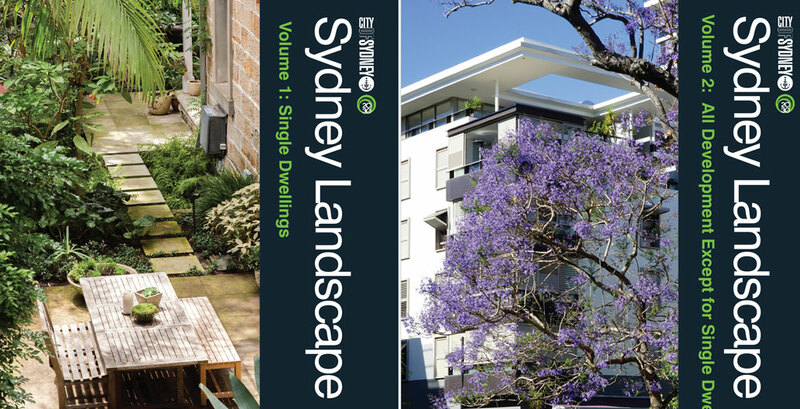 Zeunert's book is also shortlisted for the 2017 World Landscape Architecture Award for Research & Communication. 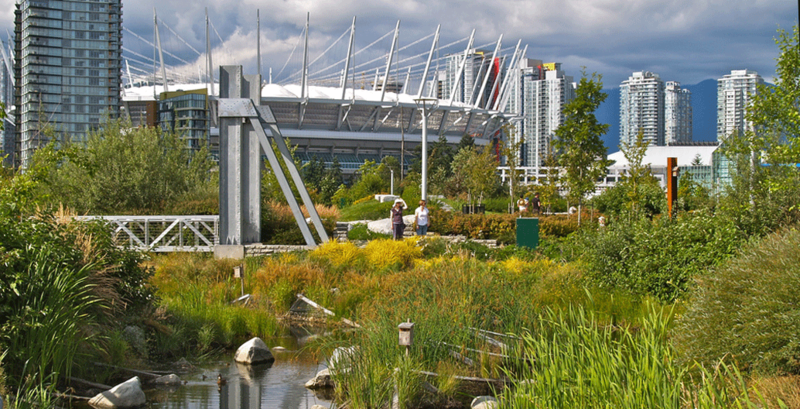 Vancouver's wetland park designed for the 2010 Winter Olympics. 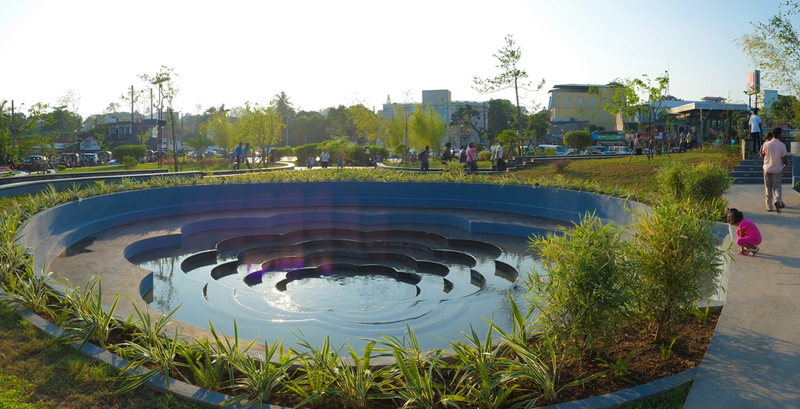 An urban wetlands park in Nugegoda, Sri Lanka. 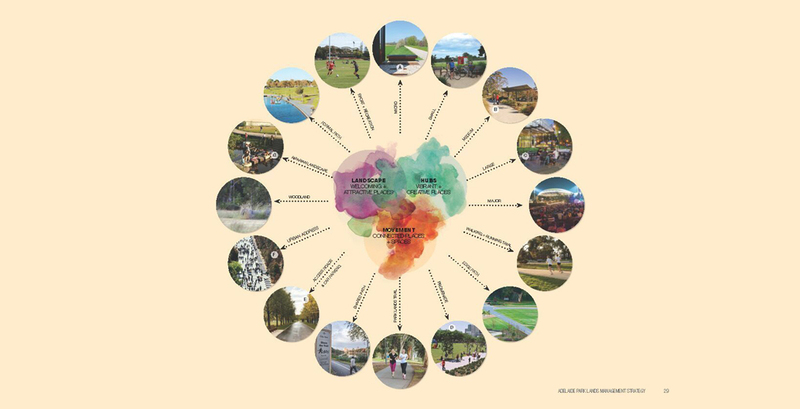 Research, Policy and Communications Landscape Architecture Award: Sydney Landscape Code (Oculus). 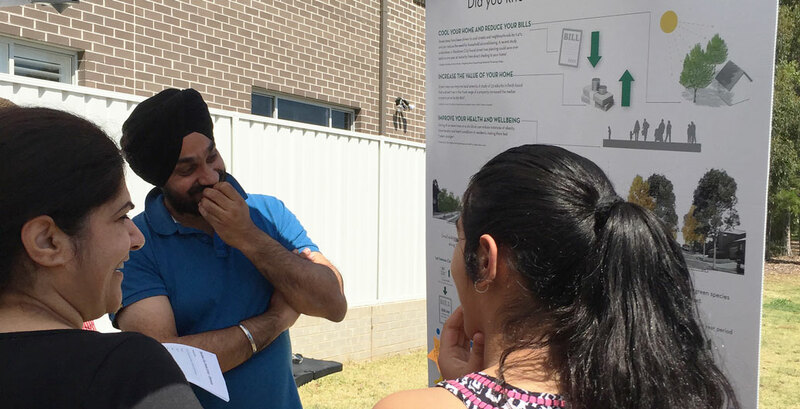 Cool Streets adopted a multi-staged process of community consultation. Image: Sarah Reilly. 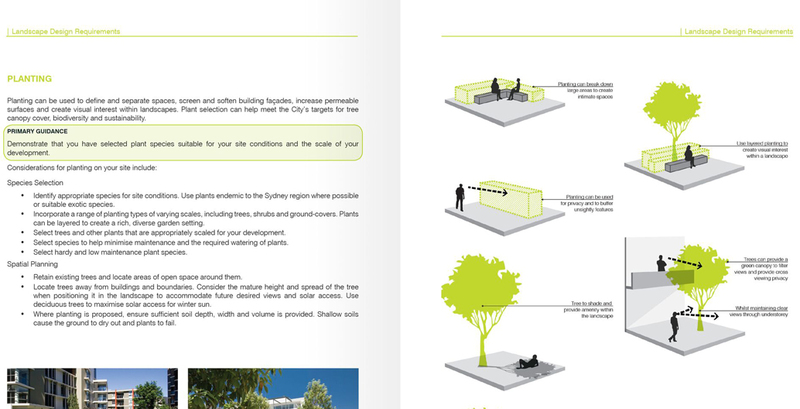 Cool Streets' debut street trees. Image: James Norton. 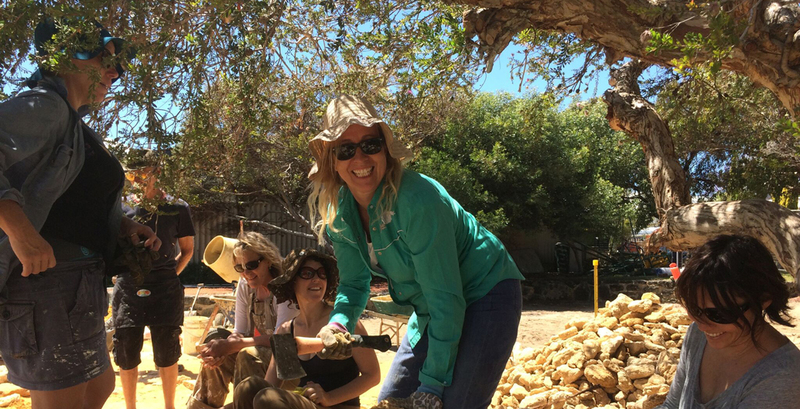 Friends of Gold Street Community park at work. Image: Kali Balint. 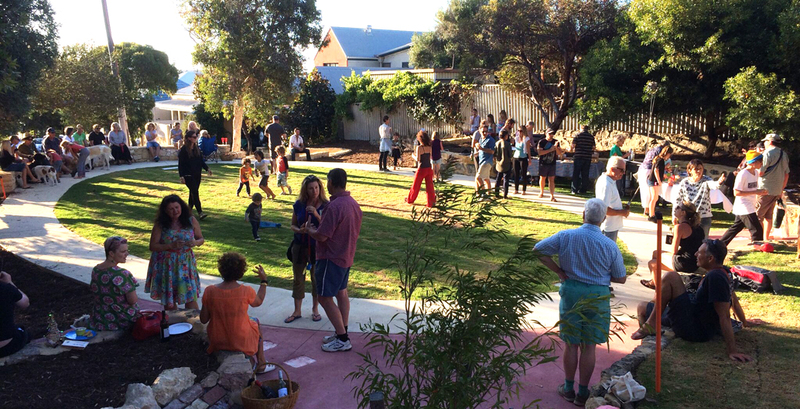 Residents, friends and welcome visitors enjoying the fruits of the revitalised Gold Street Park. Image: Kali Balint. 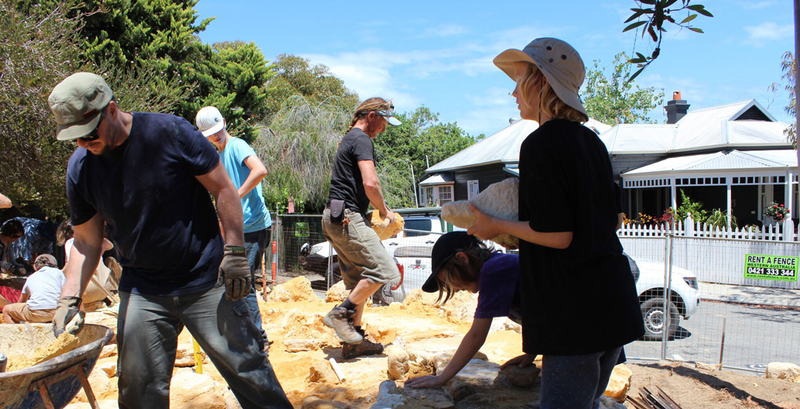 The City of Fremantle were very supportive of this initiative's community participation. 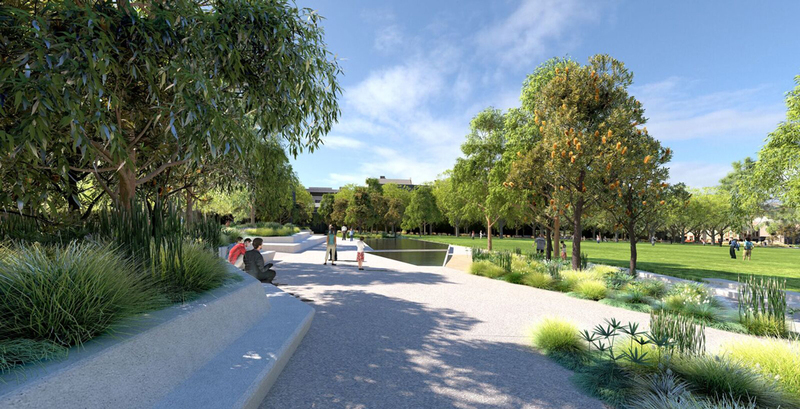 The site also provides much-needed habitat for wildlife in the middle of the city. Image: Daryl Tan. 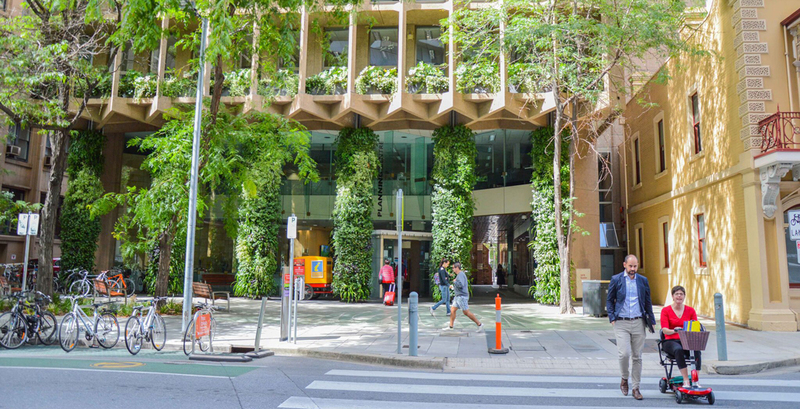 Adelaide's Colonel Light Centre forecourt living wall was integrated into a 1970s' high-rise. Image: Daryl Tian. 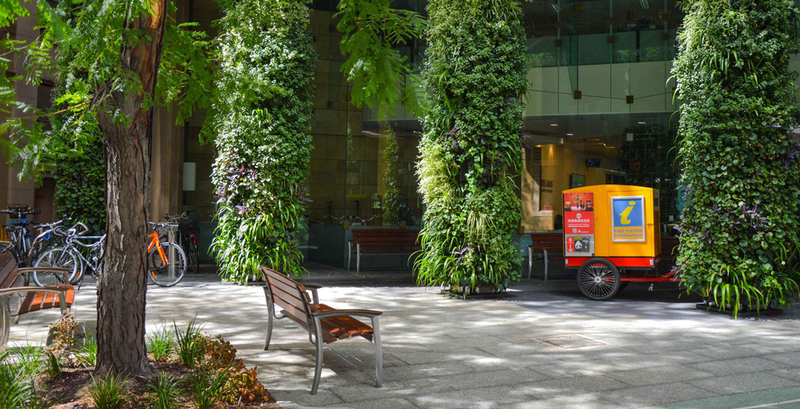 While the green-wall creates aesthetic amenity, it also harvests storm water. Image: Daryl Tian. 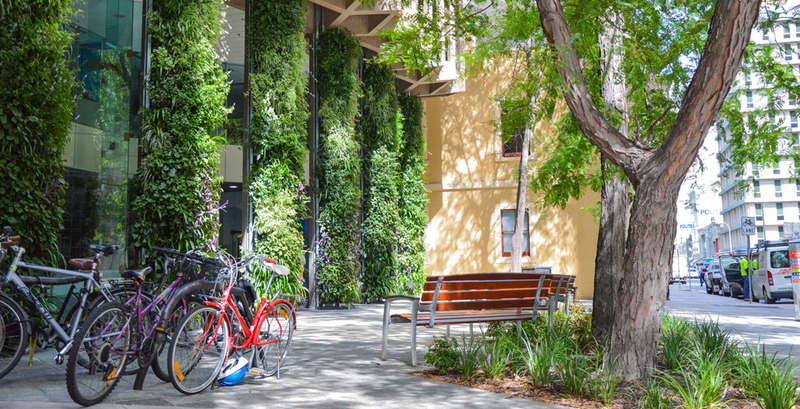 During searing Adelaide summers, this wall will cool the immediate area thanks to plant transpiration. Image: Daryl Tian. 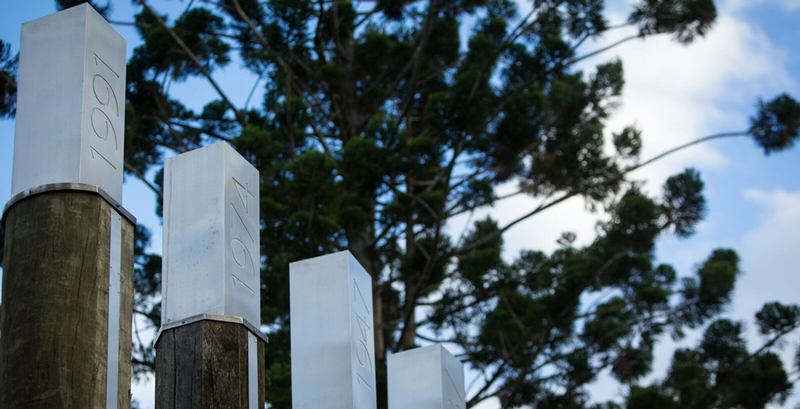 The park commemorates the crossing of the Logan River by Captain Patrick Logan, a notoriously violent colonial officer. 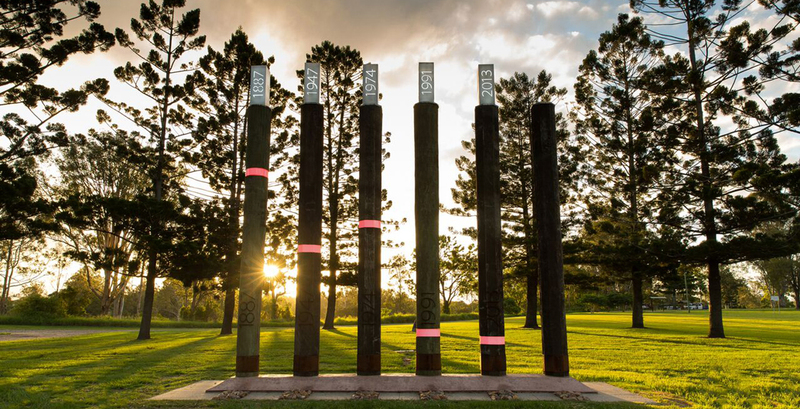 The markers are made with recycled timber from a demolished bridge. Image: David Clarke. 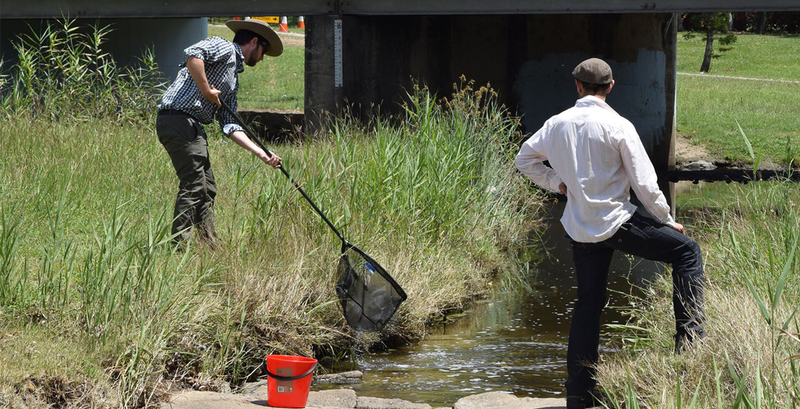 The judges said the project's lighting added to the “sense of drama associated with a flooding river”. 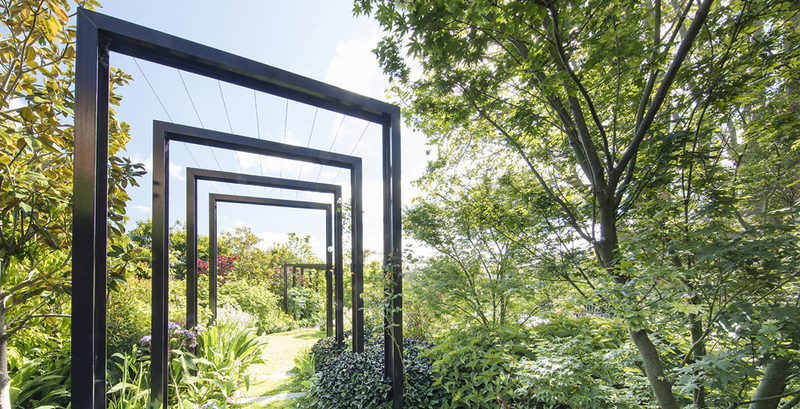 TCL wanted the garden to be one of ‘structured chaos’. Image: John Gollings. 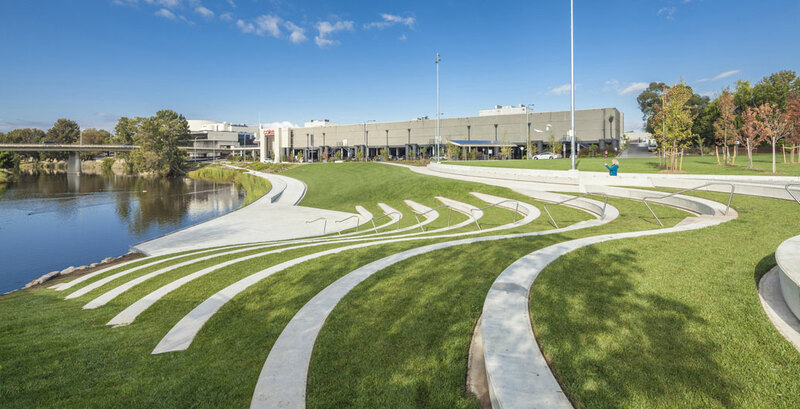 The site's austere facade is offset by the landscape's plush (albeit water-intensive) greenery. Image: John Gollings. Another aspect of the brief was to create a ‘sense of embrace’. Image: John Gollings. 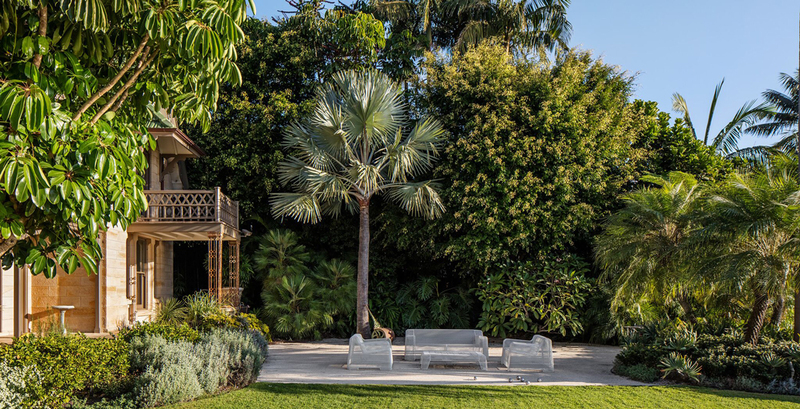 This rear garden is composed of seasonal evergreen and deciduous trees, shrubs, perennials and ground covers. Image: John Gollings. 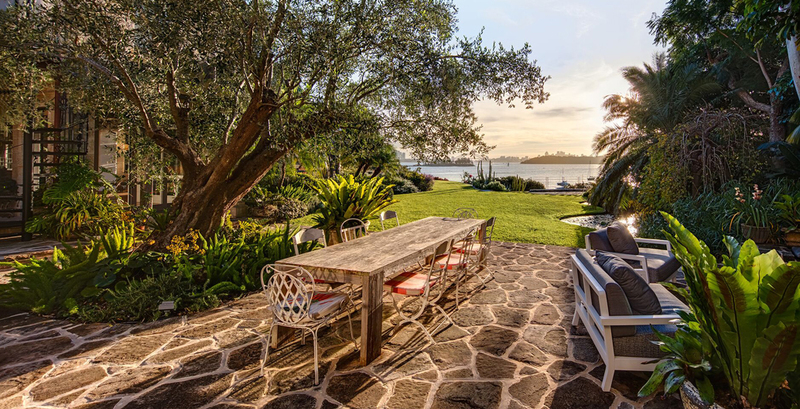 The judges noted the projects' “respect” for the garden's lengthy history. The Hermitage was built between 1870-78. Image: Murray Fredericks. The Hermitage went under extensive renovation in 2015. Image: Murray Fredericks. 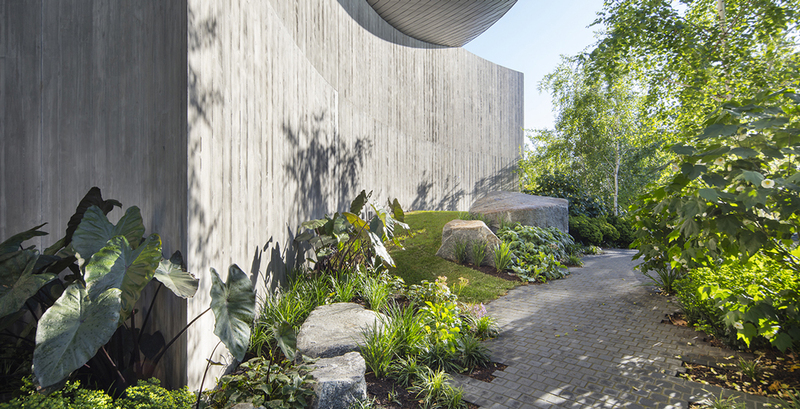 The garden's tennis court was converted to an edible roof garden. 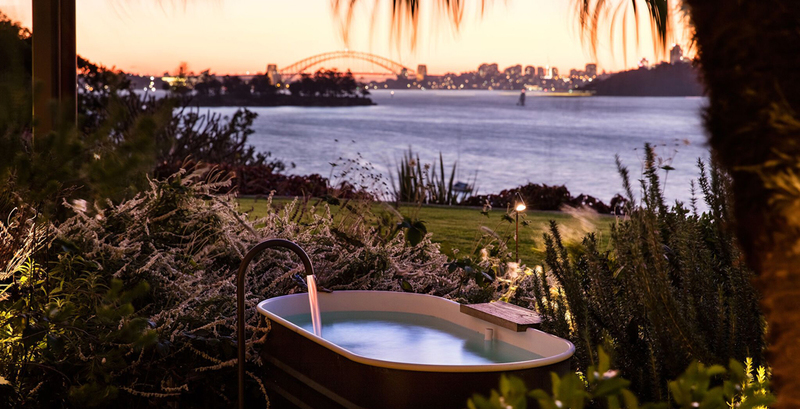 Image: Murray Fredericks. 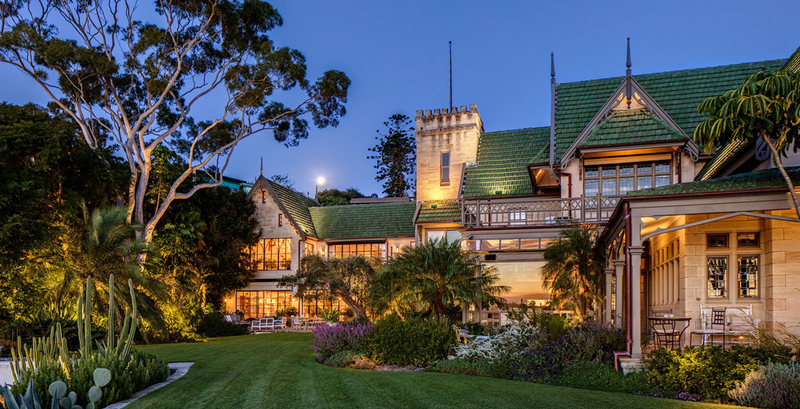 The house and grounds are on both the NSW and Federal heritage register. Image: Murray Frederick. 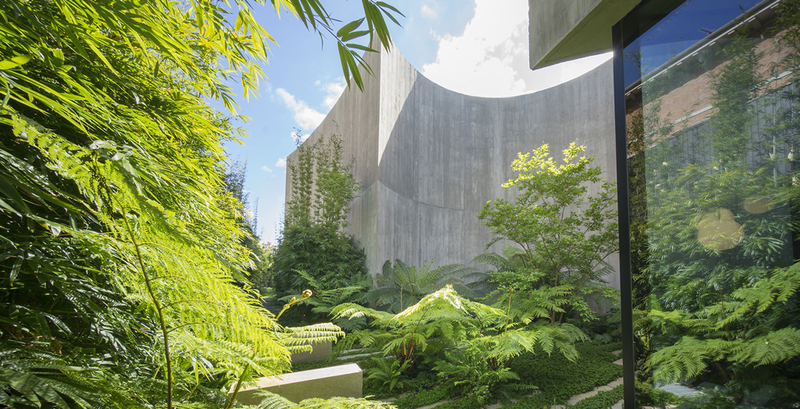 While the garden appears to be left alone, it's an actively gardened space. Image: Dan Schultz. 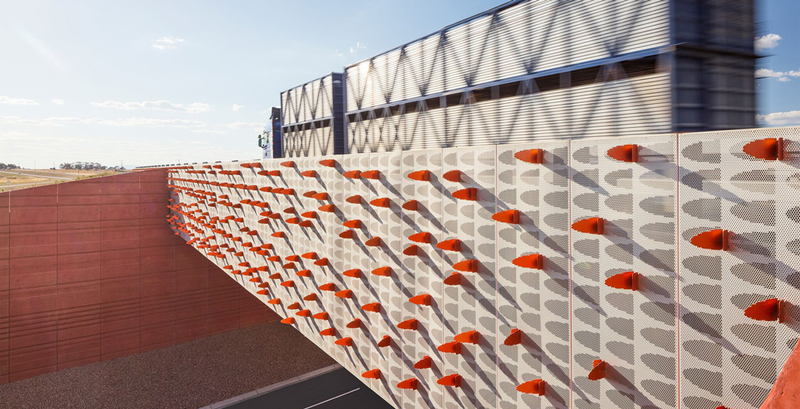 The design is billed to embrace ‘constant growth’. Image: Dan Schultz. 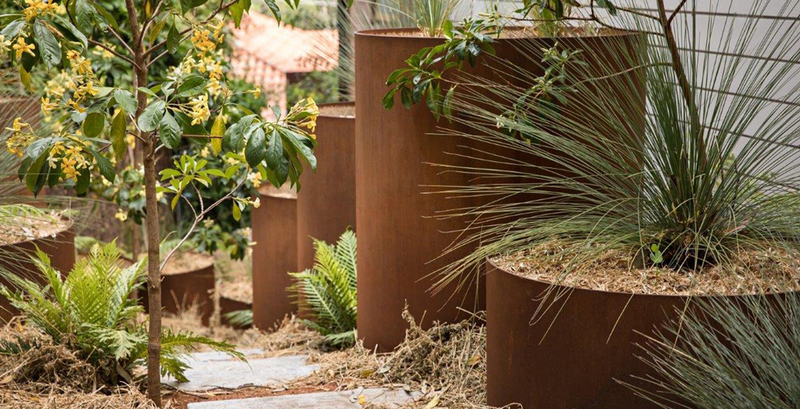 The use of resilient materials and plants reflect “tough” Australian climates. Image: Dan Schultz. 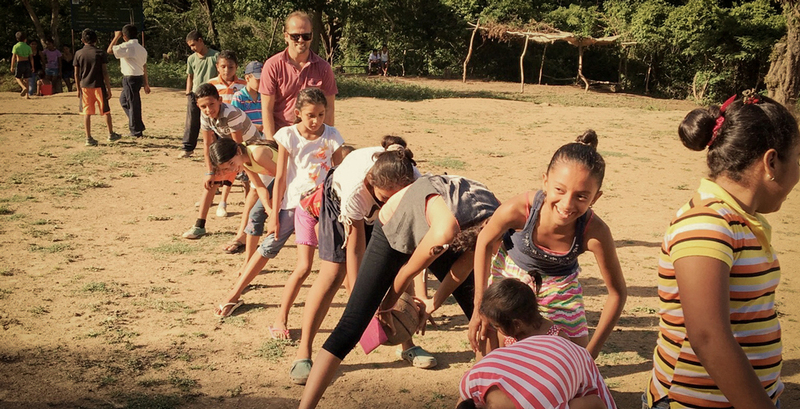 Mesa Sostenible's Cade Pia with the El Tambo community. 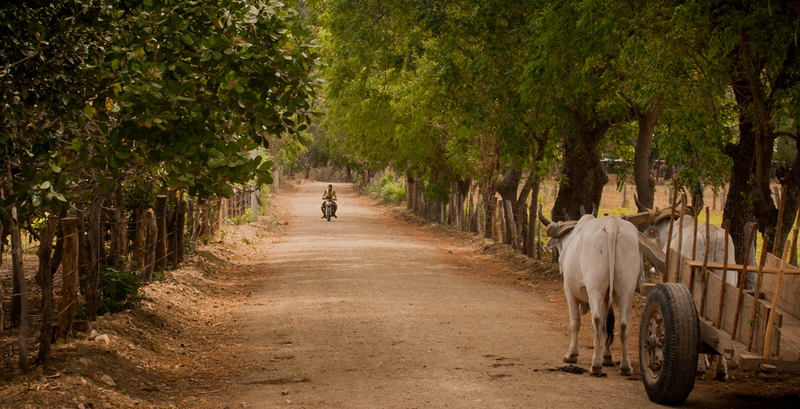 El Tambo, a community of about 500 which Mesa Sostenible calls home. 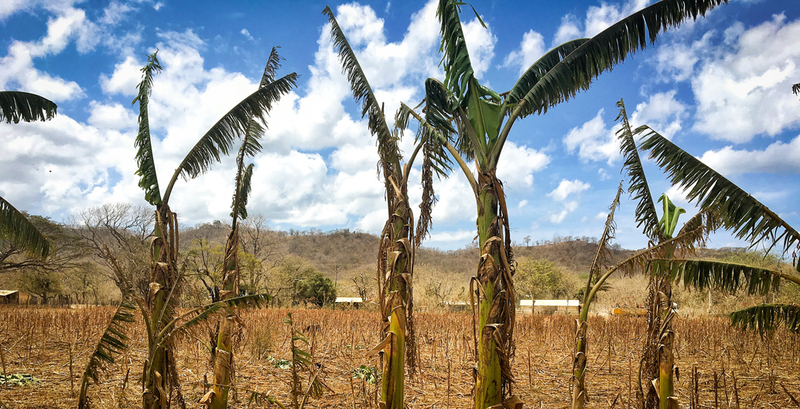 El Tambo's plantain trees have gone through five years of drought. 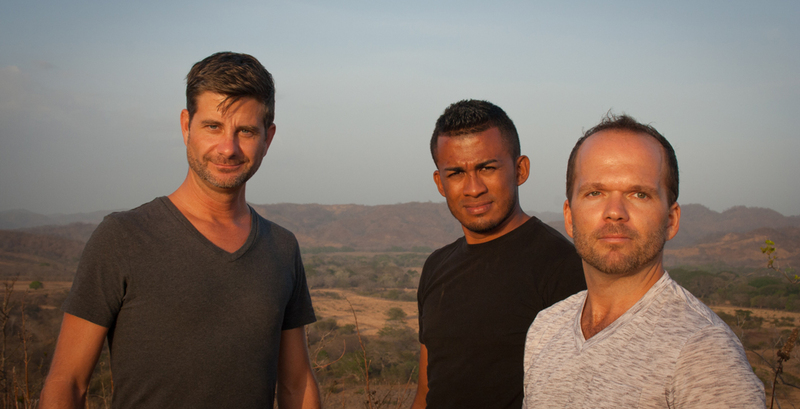 L - R. Mesa Sostenible's Ron Combs, Lenner Mora, and Cade Pia. 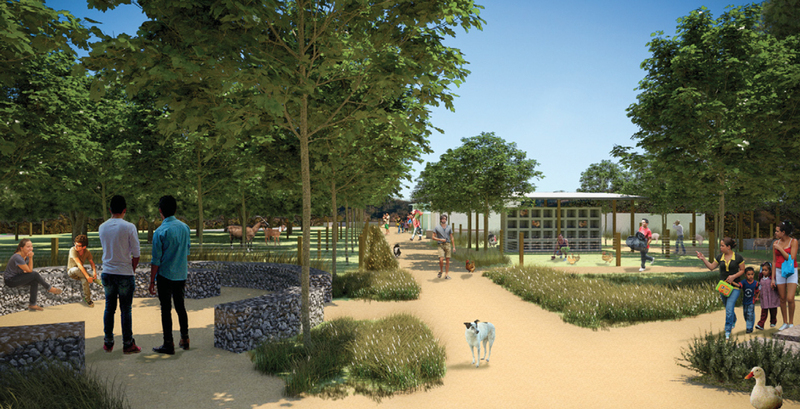 A render of the permaculture farm when fully realised. 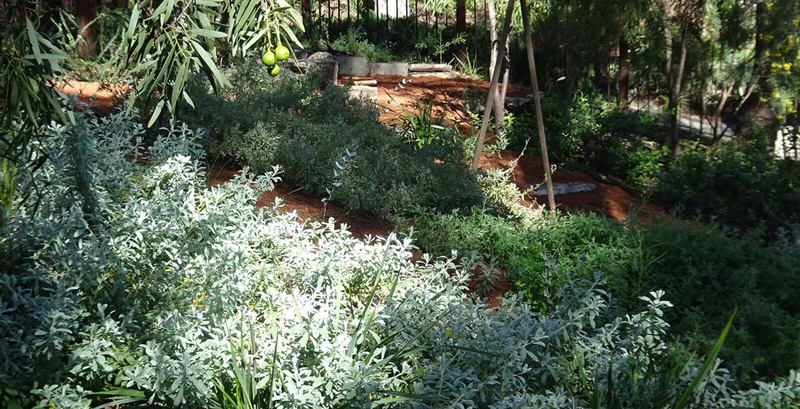 The plant species in the farm will always be changing to answer the region's uncertain climate. 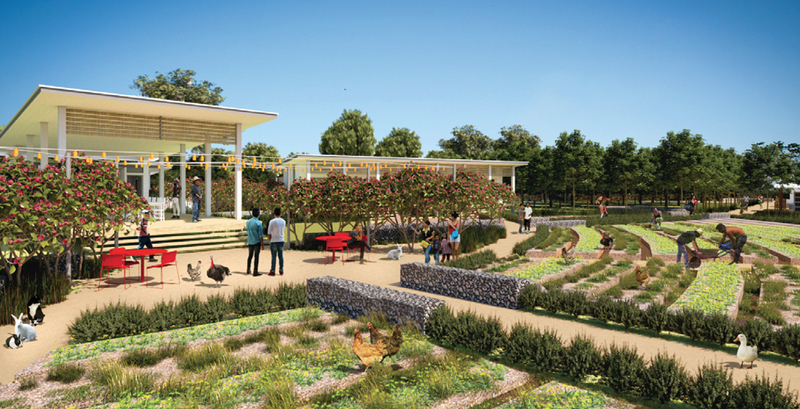 In time, the farm will feed into the backpacker and resort economies around El Tambo.